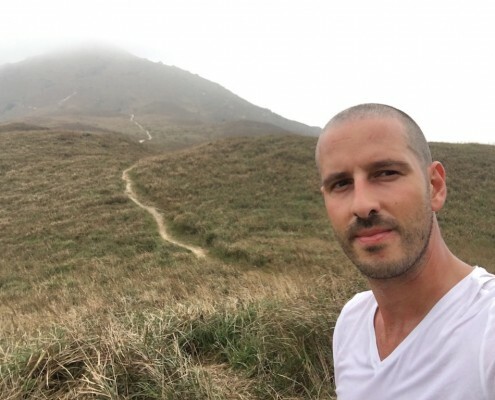 How to grow your ecommerce business – In the previous blog post, Manuel went over some great strategy and techniques on how you can pitch your products to retailers and wholesalers across the world. Today’s blog post marks the final blog post of this great series. This post will be all about thinking forward and expanding your business into other areas. Amazon EU(UK & Germany should be a priority). These marketplaces have a much lower volume than their US counterpart, however, the traffic and sales are increasing year-on-year and Amazon has been investing heavily to attract buyers & sellers to their marketplaces outside the US. There are a number of ECommerce marketplaces that allow you to list your products, some also have a similar fulfillment service like Amazon FBA. While not all ECommerce marketplaces are ideal(some have very low sales volume), this will allow you to increase your brand visibility and target markets which your competition is unlikely to target. However, the best thing about having your own store is that it’s a challenge! 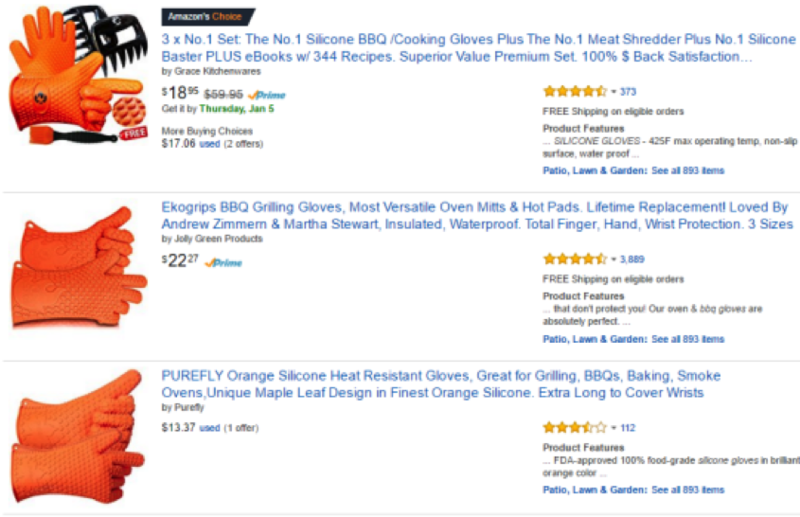 While Amazon definitely needs some mastering – all the buyer traffic is already there! With your own store, you need to spend an enormous amount of time dedicated to bringing traffic to your website. We feel this step is the most important part of any business. A successful business is a scaleable business. While you should always retain control over the key tasks of your business, it is important to delegate tasks, especially those tasks that are time-consuming or you have no expertise in. Of course, what tasks you outsource depends entirely on you, however, if you want to scale your business and achieve freedom, you need to delegate tasks. This blog post concludes our Zero To Hero: Building a Brand series, we hope that this series proved helpful in your efforts to build a truly successful and global brand. Building a brand takes a lot of effort, however with the right strategy in place, you will have a company that has great products and it’s loved by its customers. We would appreciate any feedback you have on this series and if there is anything we can help you with, kindly leave a comment below. How to sell to retail – My background is actually retail, so I naturally started out with retail before moving onto Amazon. When a friend told me about FBA I didn’t even know that Amazon let’s third parties sell on Amazon. I thought they only sell their own product. I am glad that friend pointed me to FBA, otherwise it would have been a lot more difficult to get my brand off the ground. It has been nearly 3 years since I started my own business and as I said I started in retail. I had collected many contacts in retail and that was the natural way to go for me. Looking back I am happy I started out in retail as it helped my brand immensely to get exposure while creating a second income trough Amazon. The ultimate goal of any brand or company is to get their products in front of as many customers as possible. The only way to do this is by listing your products through all the sales channels that are available to brands. 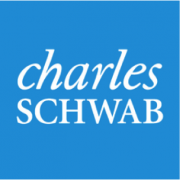 The most powerful or “rewarding” sales channel is retail and wholesaling. Retail has the power to move your product quickly, thus getting huge exposure for your brand and products. Retail is notoriously one of the hardest sales channels to get into. Your products must not only be appealing to consumers, but also packaging and marketing materials have to be of a higher standard than E-commerce. However, one of the hardest challenges is finding retailers who are willing to take on a new brand and its products. Retailers often don’t take huge risks with their capital and prefer to invest in brands that are already established or brands that carry really unique products. So the key is to have unique products rather than generic. Selling a Garlic Press that has some accessory doesn’t make you unique. The retailer will buy this product from his trusted source. Larger items also have the issue of shelf space; which in retail is limited. On top of that you can’t just knock on a retailers door and expect a smooth and fast process. Retailers have decision maker hierarchies and it is often difficult to get to the right decision maker. Often times retailers already have their suppliers or connections and they aren’t open to a new supplier. Reasons being that they already may have great buying conditions and relationships with their existing suppliers. In some cases I worked on a potential retailer for over 2 years before getting an order (in my previous job) and in those 2 years there were 3 changes on decision makers and I had to start from the beginning again. The new guy might not be open to you as the previous guy was and maybe he is already bringing sources/suppliers to the job and you need to start all over again convincing the new guy. On top of that most larger retailers get emails and phone calls every day from new suppliers wanting to sell them their product. So it is a long and windy road to get into retail, sometimes as much as 2 – 3 years. But once you have your foot inside the door you are in a great position. One word – relationship. If you have a good relationship the price or your product doesn’t really matter. Someone is likely to buy from you if you have a relationship with him right? The more credentials you have and the more history you have with a person the more likely that person is to buy from you right? An example. Let’s say you need a new health insurance. You already have an insurance from your trusted childhood friend (let’s call him Steve). Steve is quite expensive and maybe his insurance package doesn’t even have a lot of benefits. But you still buy from him because he’s your friend and you’ve known him for years & on top of that you trust him. You even have him over at your house for BBQ’s, you meet up for beers etc. You get a phone call from an insurance company trying to sell you a new health insurance with much better benefits. You don’t know this company but the offer sounds appealing. You take the offer and go to Steve and tell him he needs to make the same offer or you buy from this new insurance company. Steve probably can’t make the same offer but he’ll adjust his old package and give you more benefits, maybe even at a better price. On top of that he throws in a coupon or voucher for shopping at Amazon. You close the deal with Steve. That’s the power of relationships. And that’s how retailers work – they have their trusted sources and relationships. “You need to become Steve”. Many of those relationships especially in the “old days” included some sort of bribery. For example if you switch to a new supplier that supplier would buy out your entire old stock from the old supplier. Back in the 90’s it wasn’t unheard of that a new supplier would invite you over on his yacht and take a trip down to the South of France. Thankfully these “unfair” tactics aren’t accepted anymore – at least not with multinational retailers. There are strict enforcements in terms of bribery in big retailers. However, the relationship factor still plays a key role in doing business. Today its just called “wining and dining” a customer. You take the customer out for a steak dinner and a nice bottle of wine and you probably don’t even end up talking business but a few days later you’ll get an order. Now the key is to build a relationship with the buyer. You probably won’t be able to close a deal for months or even years because every offer you send to a new prospect ends up in the “trash” inbox. A store can probably take up 5 pieces per item/per store. So 30 stores makes 150 pieces, not bad for a first order. 2) Once you are listed in a smaller or local store look into larger retailers that have 100-200 stores. Same principle applies in terms of preparation but you are probably not the only one knocking on their doors. 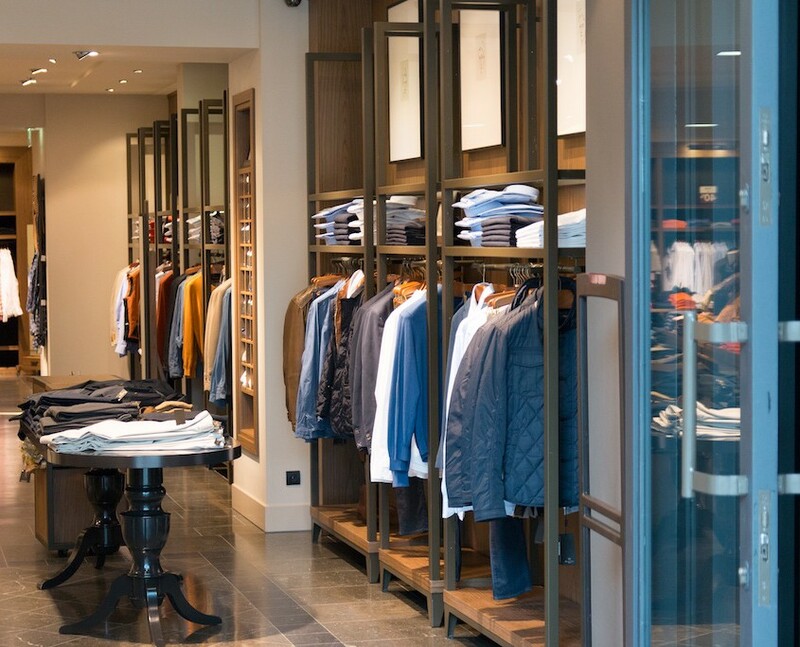 So you need a bit of track record with a smaller retailer or your online portfolio. Retailers with more than 100 or 200 stores probably have their own purchasing department, maybe even a buying office in Asia. So you need to get to the decision maker. There are several ways to get to decision makers but the most effective yet also most frowned upon are cold calls. Email the decision makers or better cold call first. There are cold call guidelines for free on the internet. Key is to let the buyer speak and you only listen. Most buyers just want to talk about how great they are, let them. You need to make them feel that they have the upper hand. After your first cold call, follow up on the topics and email a proposal as discussed in the call. Give it a few days and then either email or call again. 3) Exhibiting your products at a local or international exhibition is the best way to find retailers and wholesalers. This time the buyers come to you and all you really have to do is follow up with the topics of the discussion. The best thing about retail are re-orders. You might not make much money on the first order but if the item sells well re-orders will come and often times in much larger quantities than the 1st order. The good thing then is that the entire process is already set up and all you have to do is to place an order with your factory, knowing the entire process with the retailer. Or if you have stock back home you can just send in the new order to the retailer from your warehouse. From some retailers I get re-orders every 1-2 months for the same product and all I have to do is place an order to the factory and ship the item to the customer. These orders can be 2-5,000 pieces each time. Sometimes I make 1$ on a product, sometimes 5$. So in 1 day I can make 25,000$ in profits not really doing anything (a bit exaggerated – there’s still work to do ). Imagine how many months you’ll have to sell on Amazon for an order and profit that large. Getting into retail is very hard but as I said it can be very rewarding. It’s not a sprint so some deals can take 2 or more years but if the client is worth it don’t give up. Obviously the above is just a short visit into the topic, there’s much more to it such as contracts, advertisement material, sampling, pricing structures etc. How to brand your product on Amazon – In this blog post I’ll talk about packagings and branding on your product. I’ll give you a brief overview on why photography, packaging and marketing materials are so important when building a brand. Why are great product pictures important? When people come to your website or Amazon listing the first thing they do is to look at your pictures. The customer bases his immediate buying decision on your photos. It seems so obvious but yet I see so many listings with very poor product photography. 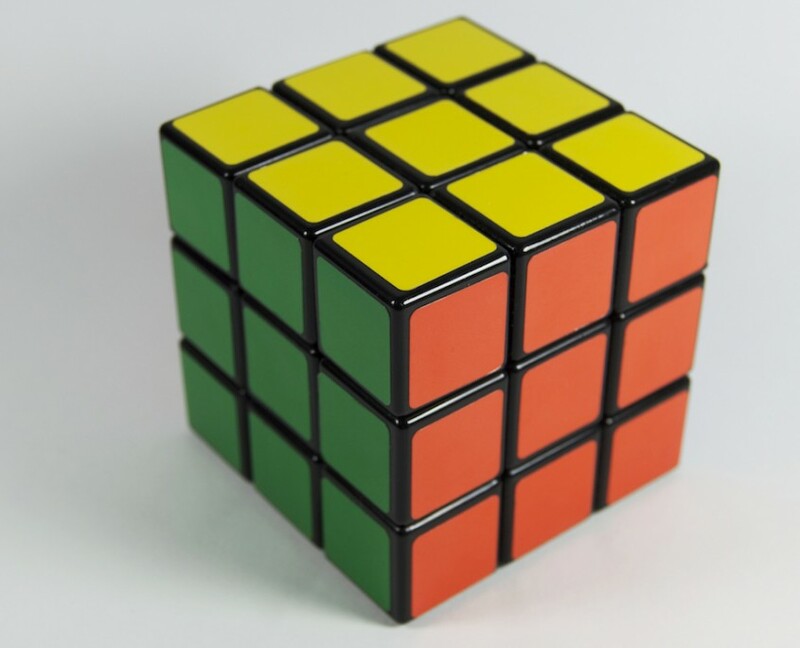 Even if the product itself is great a poor picture can decrease your conversion immensely. 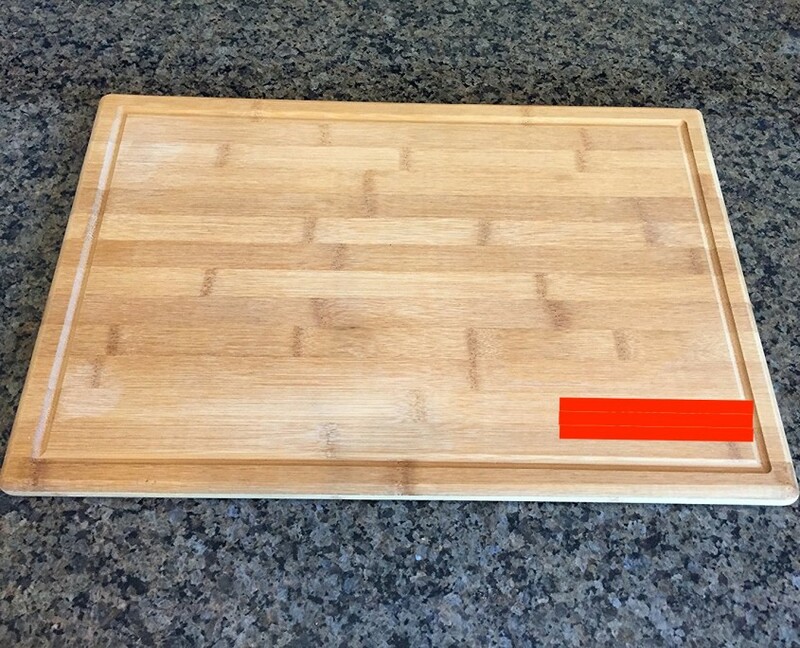 I look for a wooden cutting board on Amazon and I find a few listings. The well performing listings (even if not the best product) have great listings. And now take a look at this photo of a listing that is performing poorly. This product is actually equally good and the seller even stresses out FSC certification (sustainably harvested wood). Me personally I wood rather buy the FSC certified product but the picture is turning me off. My suggestions is if you are not a professional photographer then please hire someone to take photos for you. Yes, great photos may cost you a bit of money but it is a one time investment and it will pay itself off. Also while sometimes Photoshop can be used for retouching, adding shades and effects I do not recommend using Photoshop to edit your product picture into an environment. It just looks cheap. I’ve posted about custom packaging in a previous blog post (https://importdojo.com/best-packaging-practice-how-to-create-a-great-private-label-packaging/) which I think is a comprehensive guide. Have a look and get some ideas there. The point is to think outside the box and reflect the product on the packaging. E.g. the Nike Air packaging or Cigars in a wooden box that reflect a humidor. Make sure that you use enough carton strength when shipping your products. The unit packaging needs to be at least 26ECT (Edge Crush Test) – see above blog post. Until your product reaches your customer there are many hands involved that handle your packaging. So you’ll want a sturdy and compact packaging. 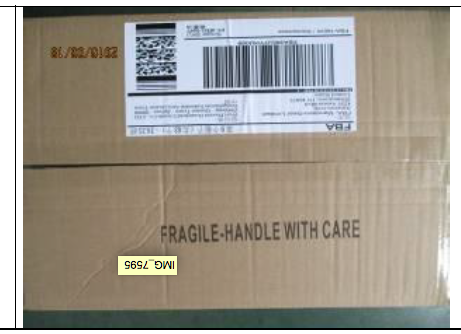 Use thick carton (32ECT minimum) for export cartons and add a sticker that says “Fragile – handle with care”. No matter if the product inside is fragile or not, this will improve chances your cartons are handled more delicately by the courier or logistics company. Add insert cards as simple as the below one where you can ask your customers to leave a review or also sign up on your website so that you can collect email addresses. Also include Instruction Manuals (if applicable). Even if your product is self-explanatory some customers appreciate a guide on how to use a product. You can even add some tips or reference another product of your’s that will make the customer come back. For example if I sell my French Press I also add: “in the unfortunate case that you break your glass, we have a replacement glass available on Amazon”. Another example would be to reference a spare part that is only available trough you. Or something along that line. Having great photos is essential to show the visual aspect of your products. Great photos will help you sell your product, especially on Amazon where customers often look at the photos to determine if they should make the purchase. If you don’t use external marketing methods such as YouTube videos to showcase the features of the product, chances are that great photos are your only way of attracting customers to your brand. When it comes to selling products, most sellers only focus on the product itself. A lot of people don’t realize that the product packaging is also a part of your product. This applies especially if you rely heavily on marketing or want to expand into retail and wholesaling. Look at YouTube for example, a lot of product review channels put a lot of focus on a brand’s packaging. What this means is that good packaging will help you sell more of your product. Another thing to note is that great packaging can also help you get more positive feedback or reviews on Amazon. These days online shoppers purchase a lot of products at any given time, by making sure that your packaging wows the customer, they are more likely to remember your brand and comment positively on the experience. Great brands put a lot of effort in making their products look good, and so should you! With proper product branding you will help attract more customers and gain more confidence in your brand. Ecommerce inventory best practices – Welcome to another part of our Building a Brand Blog Series. In last week’s blog post we went over a brief introduction on social media and which social networks are best for Ecommerce sellers or importers. This week’s blog post will be on a completely different, but equally important subject – Inventory Storage & Fulfillment. When it comes to product-based businesses such as ours, it’s important to not only get your logistics right, but also have the best rates and fast shipping. I have used both FBM(Fulfilled by Merchant) and also FBA so I will also give my point of view on what works and what doesn’t. Although my main focus is on FBA, I normally still leave some units in a storage facility either to reduce my Amazon fees or to fulfill any orders from my own Ecommerce store. This blog post will be all about how you can manage your inventory effectively and save fees when compared to Amazon. I will also show you how you can use a third-party fulfillment center to take advantage of busy periods such as the Chinese New Year or the December holiday seasons. So let’s have a look at what options are there for importers or sellers and explore different ways on how you can manage your inventory effectively. What To Look For In a Fulfillment Center? The fulfillment centre should be in a strategic location so I reduce shipping costs from the country of origin. The FC should have a backend software system that enables me to track my inventory and gather other important data(fees, shipping rates, SKUs comparison, etc.). They should have integrations with all major Ecommerce marketplaces(Ebay, Amazon, Shopify, BigCommerce, etc.). This allows me to manage all my marketplaces(in terms of logistics) from one place. Their shipping rates should be as low as possible and they use all major courier services. Never use a fulfillment center that relies on one courier as it limits your options. If I’m using the fulfillment center exclusively for Amazon, I look for ones that have extensive experience dealing with FBM. The requirements are more strict when it comes to FBM and a few late shipments can compromise your Amazon seller account. Cheaper long term storage than Amazon. Backend dashboard allows you to track inventory and shipping status of your products. Some FCs offer great rates for oversize items and storage. Ultimate control over pricing and customer experience(if selling from your own store). No restrictions on inserts or marketing materials. Multiple integrations with eCommerce marketplaces. Ability to process returns easily. FC’s can make custom orders for special clients. As you can see, choosing the right fulfillment center has a lot of benefits and if you’re planning on launching your own store, a FC outside of FBA is recommended. Prep centres are storage facilities specifically used for preparing or assembling your products according to your requirements. 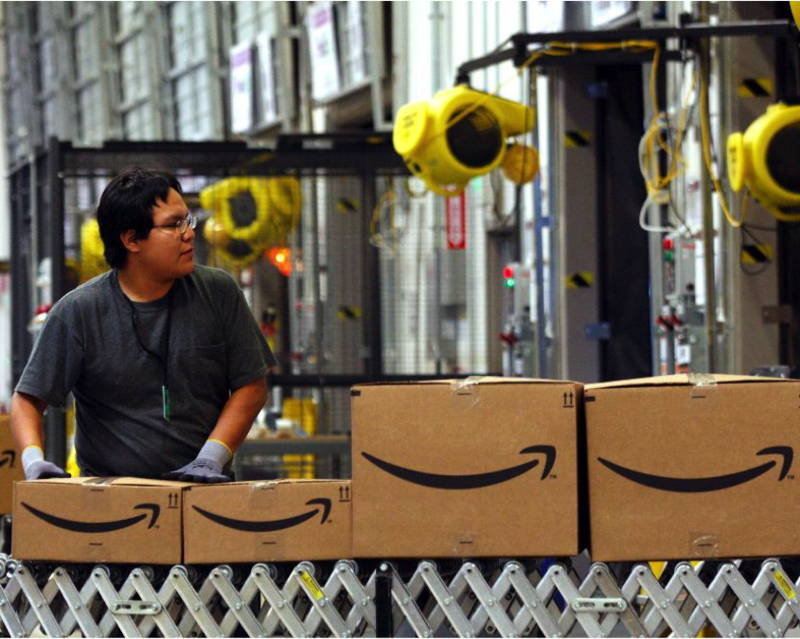 FBA prep centres will make sure to prepare your shipments according to Amazon’s guidelines. This service might be very useful if you want to make sure that you have everything in order or if your product(s) come in multiple pieces and need assembly. Please note that prep centers don’t fulfill any customer orders, they should be exclusively used for storage, inspection and prepping. If your supplier is in China or any other Asian country, Los Angeles would be my choice. LA has both the busiest port and airport in the US in terms of cargo, making it an ideal destination to ship your inventory. Also, a lot of fulfillment centers and storage facilities are situated around LAX airport or close to the port. 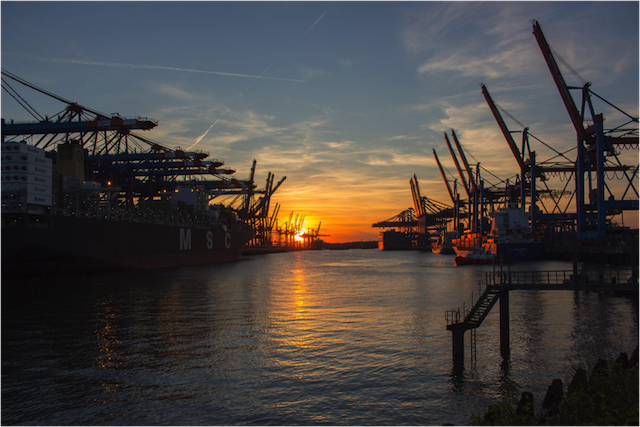 Shipping your goods domestically will always be cheaper, so the only way to save time and money with your imports is to pick the closest location in the US from your supplier/manufacturer. Amazon fees are quite high and you even have to pay extra to have a multi-channel order. If you don’t have a lot of sales from other channels you can use Amazon’s multi-channel fulfillment, however, if you really want ultimate control over pricing and customer experience on your own website, you should pick a third-party FC. 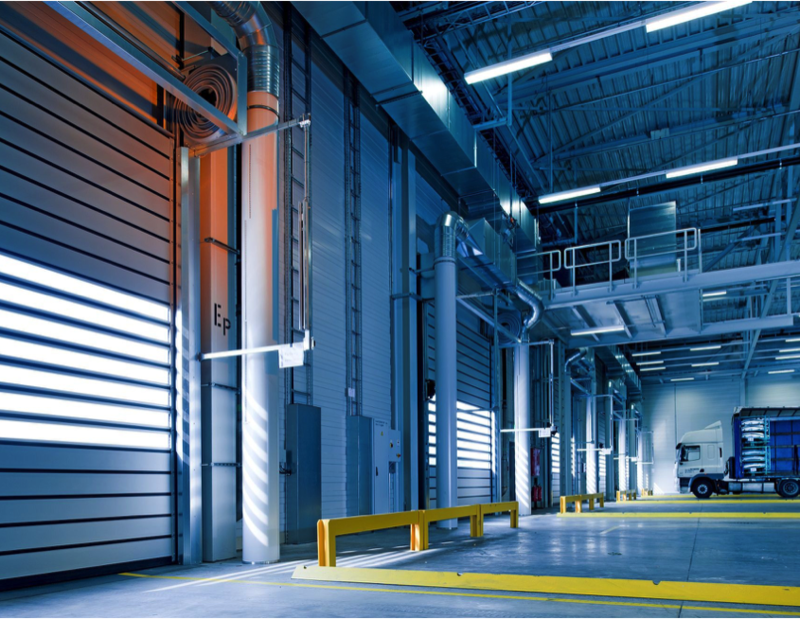 Fulfillment centers, prep companies and storage facilities allow you to diversify how you manage your inventory. If you sell on your own ecommerce store or have large/oversize items, a fulfillment center will help you reduce your fees substantially. 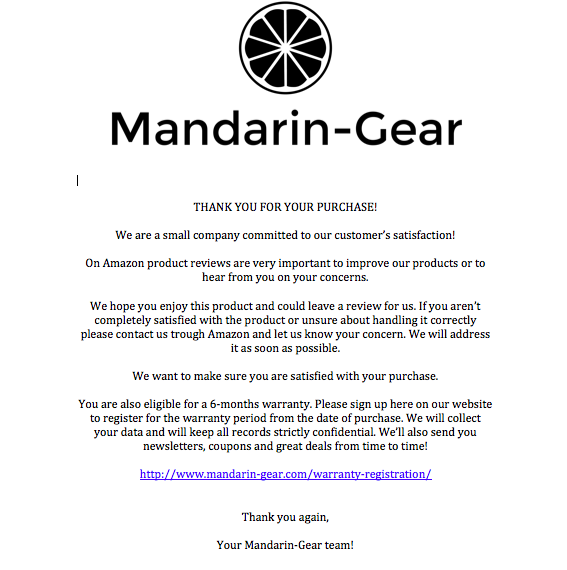 I would still suggest you to use FBA if most of your sales come from Amazon, however, ideally you would want to expand into other sales channels. By using a FC you would have ultimate control on pricing and customer experience. In next week’s blog post we will talk about Product Branding. Manuel will guide you on the best practices on how to brand your product effectively and create stunning inserts and marketing materials. We hope this blog post was helpful and as always, if you have any questions, kindly leave a comment below. Social Media marketing – a beginners guide. In last week’s blog post we had a brief introduction on E-commerce and the key steps you should take to create your own sales channel. 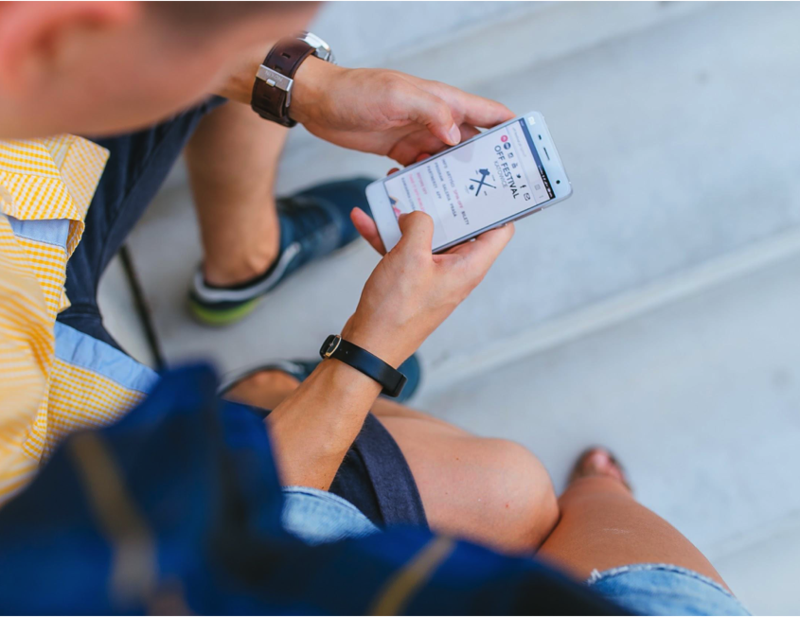 Another way to create a powerful sales channel is through Social Media. Social Media is essential to get your target audience to find your brand and connect with influential figures in your niche. In the past few years, social media has become the number one medium for promotion and businesses who want to achieve long term success need to have a social media strategy in place. Advertising conversions are higher than other forms of promotions such as traditional PPC, offline marketing and television. People spend a lot of time on social media so it’s very easy to find your target audience. Social Media provides a lot of data on demographics and behaviours which if used right it can scale up your business significantly. Drive Huge Amounts of Traffic To Your Website & Amazon Listing. Connect with your customers on a personal level and find out their concerns or needs in your category. Facebook is without a doubt the most popular social network to use. Although having(and growing) your own Facebook page is essential for your brand, the advantage Facebook has over other platforms is an affordable and converting advertising platform. When launching a new brand, my strategy is to have a budget of $5 a day maximum to find my target audience, that way, when the time comes to launch my product, I know already who to target. Facebook also allows you to target audiences who liked a particular page, so if you have a fitness brand and want to target female audiences aged 18-25 who like Nike, Adidas & Under Armour; you can do that with FB Ads. What this allows is to have better converting Ads and more clicks to your sponsored posts. One suggestion I can give is to not direct the audience to your Amazon listing(unless you have a lot of positive reviews), but instead to your website/landing page to collect email addresses. 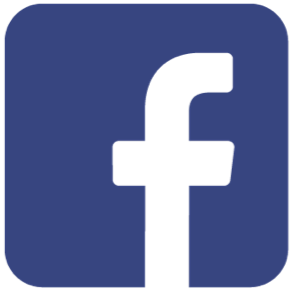 We will talk in more detail about Facebook Advertising in the coming weeks, however, as a business in 2017 and beyond, you need to be on Facebook – it’s where your target market hangs out most of the time so take advantage of it! Instagram is the platform of choice if you want to showcase your products, brand and your story. The visual aspect of Instagram allows you to truly differentiate yourself from your competitors. 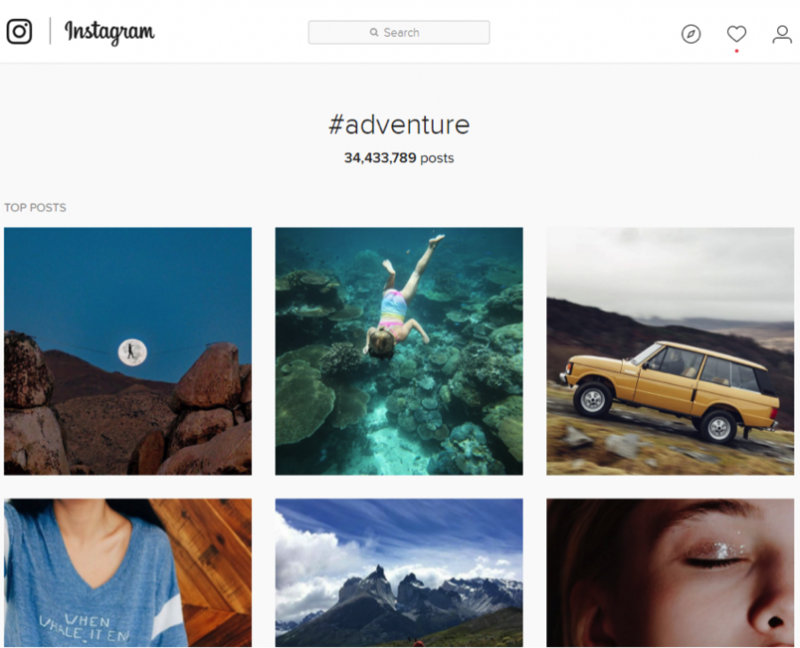 Since Instagram is owned by Facebook, you can use their advertising platform to also target Instagram users. What I really like about Instagram though, is the ability to connect with authority in your niche and even larger brands. This makes it the perfect social media platform alongside YouTube to gain massive exposure for your brand. However, the downside of Instagram is that you only have one clickable link in your whole profile – The Bio. This makes it very hard to direct audiences to click the link, for this reason, although Instagram can be used to drive sales, the main use of the platform is to gain exposure. 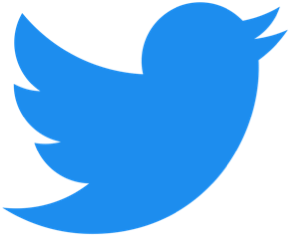 Twitter is one of the top social media networks, however, their follower base has been declining in recent years so in my opinion, other social media platforms are much better. Twitter works best for announcements or to give news regarding your brand or products. I would still suggest you to have a Twitter account though, not only it works great for some niches such as fitness, yoga and cosmetics; but also because as a brand you need to be everywhere! The more places you are, being social media platforms, marketplaces or countries, the better. So while in some cases twitter can work great, it’s not an ideal platform for Ecommerce sellers. Out of all the most popular social media platforms, snapchat is the newest one. However, they are quickly gaining a large following(particularly amongst younger audiences) and they are set to go public soon. 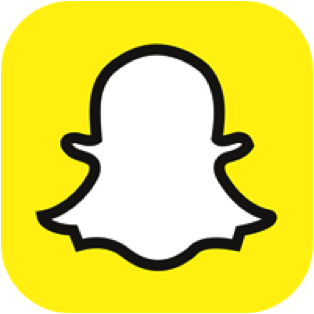 Snapchat is a video-based application that allows you for to share videos which are only available for a limited amount of time. This is a great app if you want to make quick promotional videos or even use it to make instruction-based videos on your products. However, unlike most social media platforms, Snapchat only applies to certain categories. Nonetheless, if your market is mostly younger audiences, you need to use the app as it’s quickly becoming the number 1 social media platform amongst the younger generation. YouTube is by far the best social media platform for exposure and driving insane amounts of traffic to your website or Amazon listing. With the introduction of their Video Advertising Platform, you can quickly gain enough exposure or even go viral. It’s not uncommon for unknown brands to go viral and get massive sales via YouTube. Video based ads convert much better also, however, at $0.20 a click, it can become quite expensive. The power of YouTube relies in a pool of YouTubers from all kinds of niches, in fact, if you can find influencers or brand ambassadors willing to make an unboxing review or How-To-Guides for your product, you will get more sales than any other method, such as PPC or FB Ads. If you’re starting your own channel, your videos must be very well made. Focus on providing value and showcasing your brand. If sponsoring other videos, make sure that your products are of a higher quality. Packaging, inserts and the product itself need to look professional. With thousands of videos uploaded every minute on YouTube, your videos can easily get lost, have a keyword strategy in place and leverage other social media networks to get views. If used right, YouTube can be the single platform that elevates your brand from a small business to a well-known brand loved by its audiences. Unless you have enough video making or editing experience, I wouldn’t suggest you make YouTube videos yourself(as a brand), instead, outsource the whole process or even better, leverage the audience of other YouTubers. Pinterest is a social media platform that very different from the rest. It focuses mainly on images where they are structured using pins and boards. What makes Pinterest unique is that the platform has a majority of women followers, so if your brand or products are aimed at this demographic, you need to focus your marketing efforts on Pinterest. 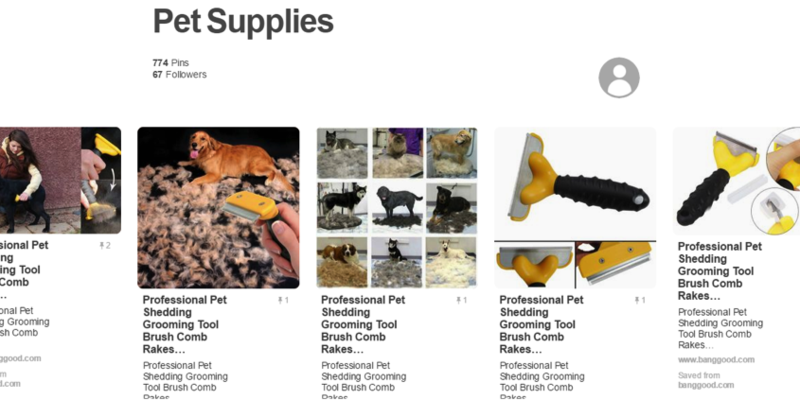 Pinterest, unlike Instagram, has clickable images, so every image you put in the platform can be directed to your website or Amazon listing. This becomes really powerful when your follower base get bigger as it can help increase conversions. Show what your brand is about(your brand story). People are more willing to buy from brands they can connect with. Run Giveaways, Polls and Promotions frequently. These will not only boost sales but it will also give you some great data about your customer base and buying habits. Show unique features about your products and great looking pictures will attract more followers. Use social media to provide great customer service. Check your inboxes frequently and reply to comments you get on your posts. However, the most powerful way to gain followers and exposure to your brand via social media is by advertising. Facebook and YouTube provide the best converting advertising platforms and give you a lot of data about your customer behaviour. 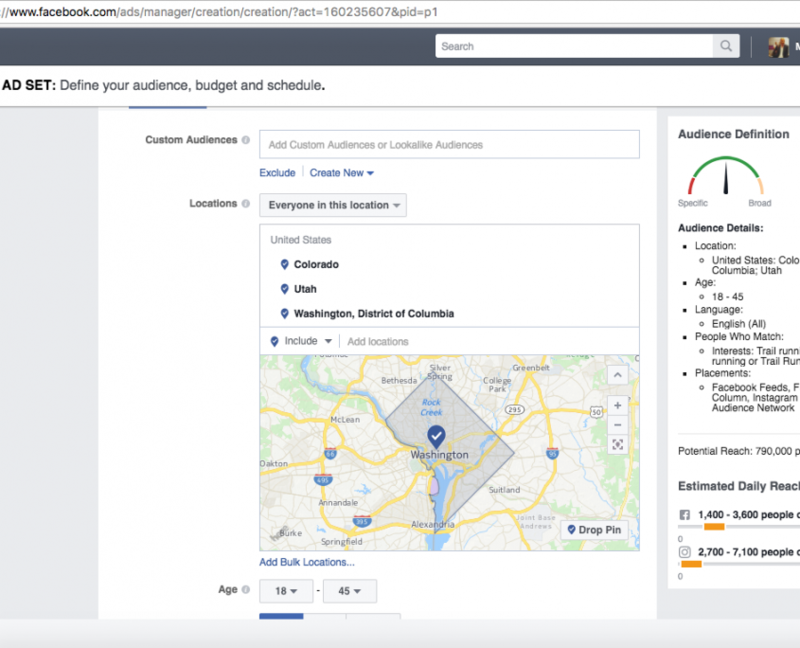 Set-Up your Facebook/Instagram/Youtube Ads targeting your ideal audience. Links should point to your website or Ecommerce store. Have a landing page and an offer to get email subscribers. Provide customers the option to either buy from your website or Amazon itself. Pitch offers during holiday seasons or when you experience slow sales. Connect with your customers to build a relationship with your brand. Send an email blast when launching new products so you not only get some sales, but also some traffic to your listings. Social Media Marketing can be a great asset to have for your business. No other tool comes close when it comes to connecting with your target audiences and getting exposure for your brand. Keep in mind that social media is a slow process and not every platform will suit your brand. We recommend focusing your efforts on 2 or 3 social media platforms and outsource the rest to a virtual assistant. In next week’s blog post we will discuss Inventory Management, FBA Prep and Storage. Amazon has been constantly increasing their fees so it makes sense to look for alternative options to store part or all of your inventory. We hope this short guide prove helpful and as always, if you have any questions, kindly leave a comment below. How to start an online store – In last week’s blog post, Manuel explored in detail how to deal with overseas manufacturers and the best practices for Private Label. In today’s blog post we will focus about building your own E-commerce store. While selling on Amazon has numerous benefits, nothing beats the feeling of having your own store and having full control over your brand. While the process is time consuming and requires some capital investment, in the long run it will pay off. Here at ImportDojo we always recommend to expand into new countries and to have more than one sales channel – nothing beats having your own sales channel! A website is not only an additional sales channel, but also an asset. If you manage to build up enough sales volume, the valuation of the site can be added to your company’s overall valuation. It’s never wise to build a business solely on someone else’s platform(Amazon/Ebay), by having your own website you have an additional channel to drive traffic to. Marketplaces like Amazon and Ebay have a lot of sellers competing for the same customers. This causes price wars and more often than not, it’s a race to the bottom. By having your own website, you can control your pricing, make your own offers and be in control of what you charge. A website offers endless possibilities when it comes to customization. Marketplaces have guidelines which restrict the amount of customization you can make. With your own site, you have complete say on what goes into the design, colours and overall branding. Through email marketing and social media, you can truly connect with customers in a much more meaningful way than Amazon. Amazon limits sellers on having buyer’s information and restricts communication with them. When you have your own website, you can focus more on the customers and listen to their needs. Although building an online store requires minimum capital investment, marketing will require a significant amount of money. This can be difficult in the early stages as you also need to outsource website copywriting, blogs and design. Luckily many platforms have made this part easy. However, you still need a lot of time to make the design of your store ideal. Most platforms like Shopify and BigCommerce have a lot of integrations which helps you sync inventory across all marketplaces. Have an SEO friendly website. Design fits your brand and audience. This can be easily done with the use of integrations, plugins and premium themes. Between the blog, website copy and your email capture & sequence, you need to write a lot of content. If you’re not a good writer, you need to outsource all of the writing which requires a lot of capital initially. When writing content, a good tip is to diversify content not just on your niche but the whole category or subcategory. 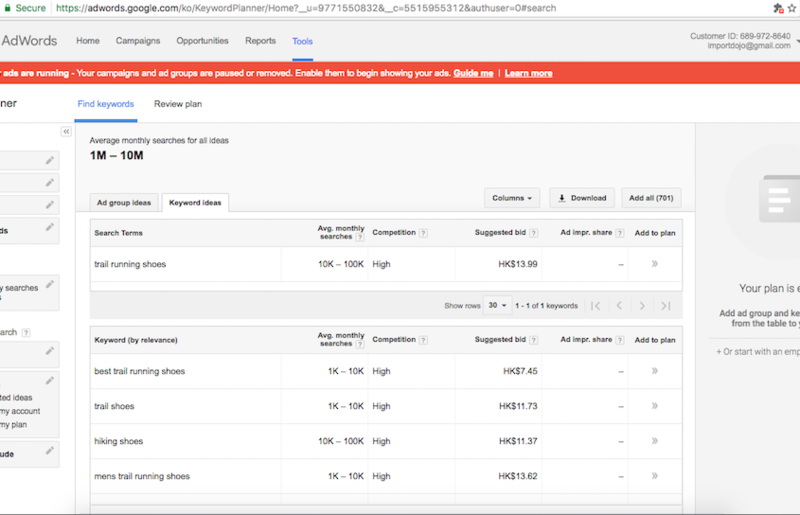 Use different long tail keywords that cover different topics and once you monitor traffic and engagement for a few months, you will find out what your audience is interested in. You can use the data to release new products based on what your audience wants. The about us page allows you to tell your brand story, mission and goals behind your products. This page is very important as it gives a “face” to your brand that customers can identify themselves to. The store should be simple and easy to navigate. 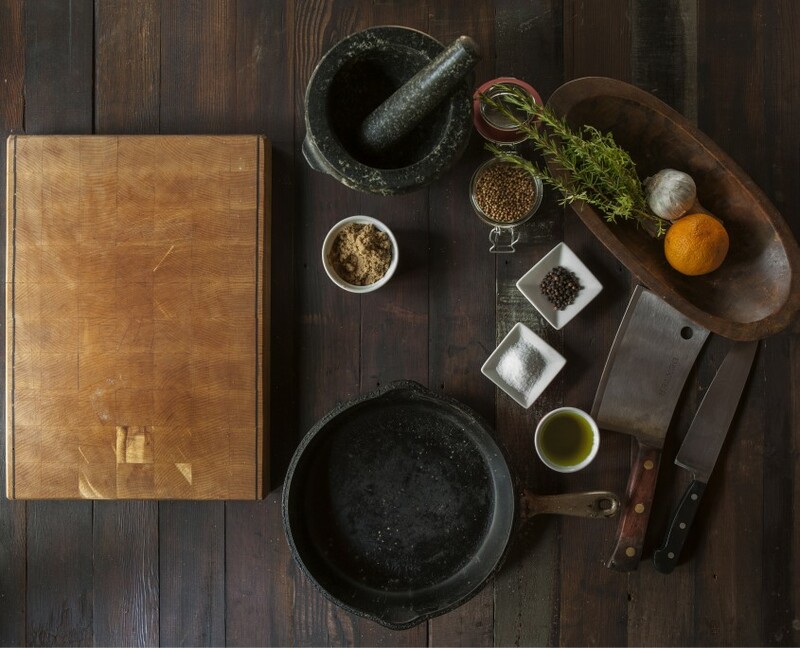 Like Amazon, include keyword focused descriptions and great images. A blog not only give important updates and information about your niche, but it also helps drive traffic to your site and build up SEO. The beauty of selling on Amazon is that you don’t have to worry about driving external traffic to your products. Aside from Amazon Sponsored Ads and Facebook Ads, Amazon generates enough traffic to their marketplace. What makes Amazon unique is that the traffic is mostly buyers. 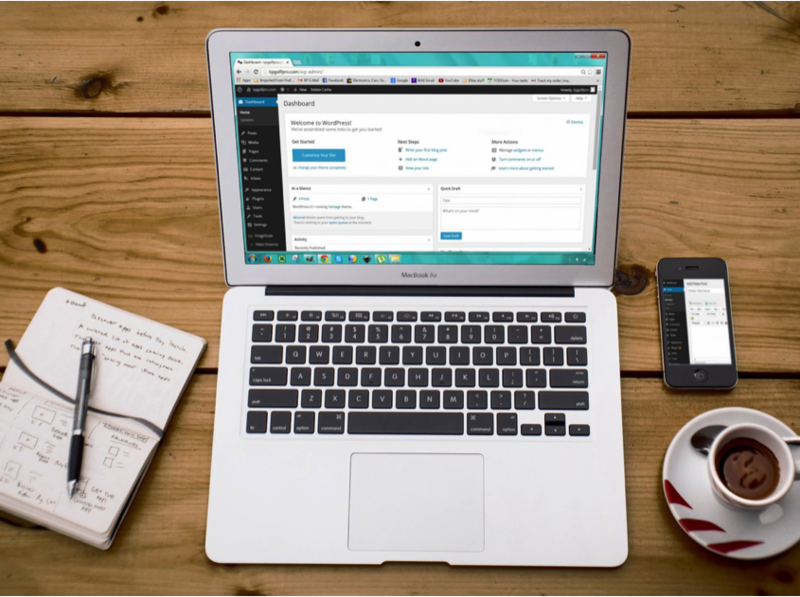 When it comes to your own website, getting traffic will be the major challenge. However, there are a number of ways to drive traffic(and sales) to your E-commerce store. Like Amazon Sponsored Ads, pay per click marketing is very powerful in driving traffic towards your products. 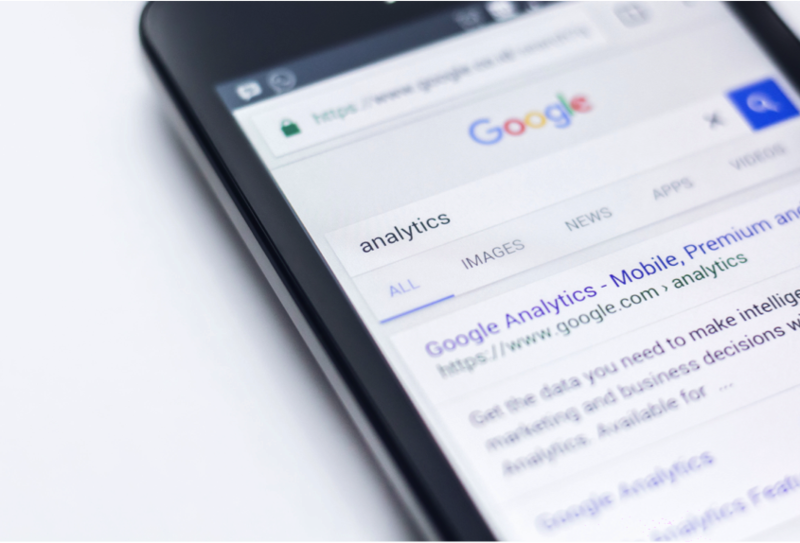 The most popular pay per click networks are Google Adwords and Bing, when it comes to these two however, you will have higher competition on keywords so your strategy has to focus on long tail, less popular keywords. Build an audience yourself which requires time and money. Leverage someone’s existing audience to gain exposure. Are they well known and trusted in my category/niche? Are they experienced in promoting products similar to my category/niche? What is their target audience demographics? Money offer with no commission involved(This can normally range from $50 to $1000 depending on the blogger). A free product sent to them and they get commission for each referral. They can use the Amazon Associates program or you can create your affiliate program on your website. The second option normally works best as the blogger will be more incentivised to promote your brand. Bloggers are a great way to drive high amounts of traffic both to your Amazon listing and your website. If a blogger proves very successful, a good option would be for your brand to sponsor the blog as you get a permanent advertising presence. Facebook – Great for all types of businesses and they have the best converting ads out of all social media networks. 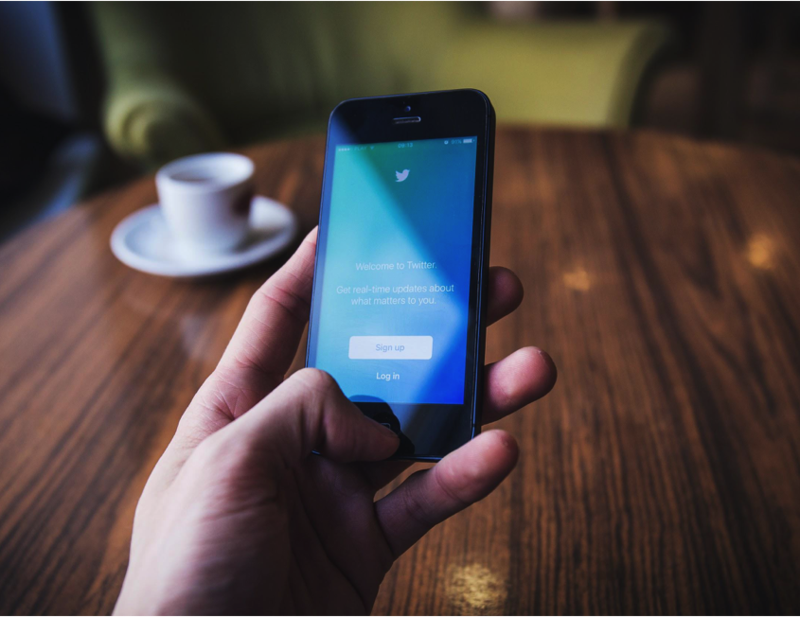 Twitter – Although not very ideal for promotions and showing your products, it’s excellent for giving news, updates and connecting with influential people in your category. Instagram – The most popular social network for E-commerce entrepreneurs, it’s design and features make it ideal to show your products. The only downside is that only the bio is clickable so you don’t have many options for driving traffic. However, it’s by far the number 1 tool for getting exposure. Pinterest – Another great social media platform ideal to show your products and branding through images. It is the only social network that has a majority female following, so if your target audience is in this group, it is recommended to focus your efforts here. Snapchat – This social media platfoorm is not ideal for every businesses, however, its popularity is growing and if you’re targeting millenials – you need to be on Snapchat. YouTube – Out of all the social networks, YouTube has the most power to drive huge amounts of traffic and make your brand go viral. The only downside is that producing videos requires capital investment and a lo of time. A way to go around this is to send your products to YouTubers who target your niche, by doing this you leverage the audience of the YouTuber. Building your own e-commerce store requires a lot of work and patience. However, the benefit of having your own platform and customers is very rewarding. While the Amazon platform will most likely always be the main source of revenue, having an additional sales channel that you fully control is the ultimate step towards having a strong brand. 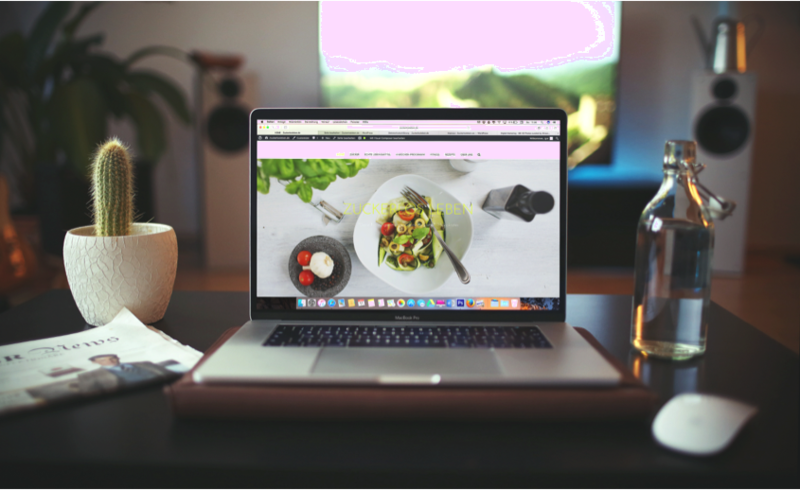 We hope this blog post was helpful in clearing up some issues you may have when starting your own website and while e-commerce is a vast topic, this guide can surely point you in the right direction. In next week’s blog post will will dive into Social Media Marketing. 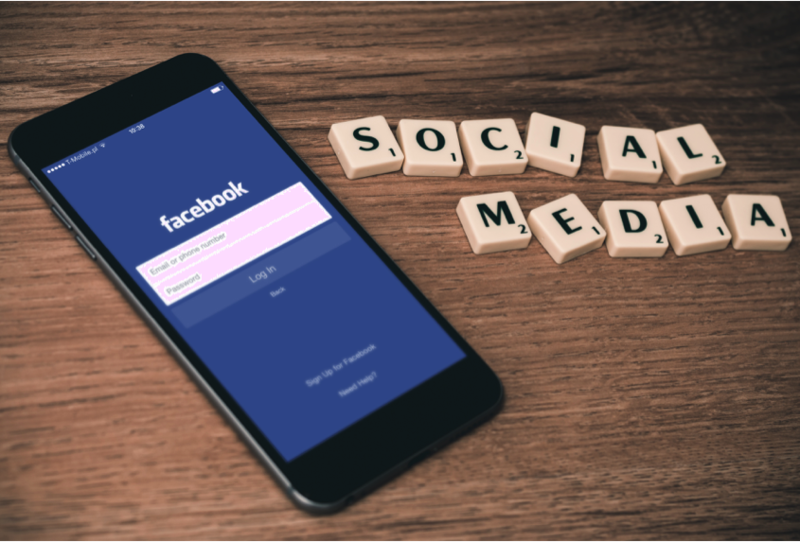 Social Media has become a really powerful tool to drive traffic, sales and awareness of your brand – so having a social media marketing strategy is essential to quickly grow your customer base. If you have any questions regarding this blog post, please leave a comment below. The aim of this series is to find out your concerns regarding importing & e-commerce, so we would really love to hear from you! How to manufacture in China – I’ve probably written about this topic for as long as the blog is up (March 2015) but I’d like to give you a summary of the most important parts of manufacturing overseas in this blog series on how to build a brand. There are a lot of statistics I could give you but I wouldn’t know where to begin. I want to break down China and its manufacturing in a few sentences. Believe it or not, China is still the biggest production site by far. While there are several countries in the vicinity, such as Vietnam, Thailand, and Bangladesh, they simply do not have the infrastructure that China does. Imagine you need sanitary items, furniture, household appliances, insurance, and a smart phone. You walk into a Wal-Mart. You can find practically anything you need in there and that’s within 10,000 square feet. That pretty much sums up China’s infrastructure. Factory A provides plastic and tooling, Factory B provides packaging, Factory C provides raw material and components, and Factory D assembles everything. They are all within a stone’s throw away from each other. I’ll give you an example, and I am not kidding you, 95% of the world’s supply of electrical multi-sockets comes from a small town in Cixi near Ningbo/Shanghai. When I say “small” I actually mean small for China. There are over 1.4 million people in this town. When you step into “Ningbo Kaifeng” (World largest factory for electrical multisockets) you are overwhelmed. And when you step outside of the building you see five competitors across the street. All the factory bosses are related to each other. And down the street they can find everything they need – factories that make packaging, tooling, plastic, steel, and so on. The Chinese are so effective in terms of production and infrastructure that some first world countries could really learn a lot. The big retailers figured out a long time ago that nearly every large corporation, retailer, discounter, or online shop has a buying office somewhere in China/Hong Kong. I know this because I have been in the industry for over 17 years. When you walk into a factory and look at the production line you see cartons of goods with famous names on them. Whether it is a fan from Home Depot, an audio speaker from Target, or a ceramic pot from Bed, Bath, & Beyond, they were all made in China. Most products are made in specific areas. These are the main areas for production. However, nowadays production is also shifting inland to take advantage of lower labor and production costs. First things first. You need to understand that certifications are based on directives and legislations. So for example the GPSD in Europe (General Product Safety Directive Legislation) or the CPSC for the US (Consumer Products Safety Commission) says that a product needs to meet certain standards and need to be safe in general to import or bring to the market. Simple right? Unfortunately not. The GPSD has tons of directives under its belt such as the CE, RoHS, REACH directive). Which means that for each product or category there are further sub-categories that have directives which tell you exactly what your product needs to meet. Wait a minute, what exactly are you saying? I can’t read all this technical jargon…. So which certificates do I need and do I need them all? The good news first. No you do not have to have all tests and certificates done by third party laboratories (both the US and Europe). What would suffice in (almost) all cases would be a declaration of conformity. Wow really? Yes, and here is the “however”. If you trust your suppliers blindly that all raw materials are free of hazardous chemicals, comply with electromagnetic compatibility (electronics for example) or meet certain other standards then that would be very foolish. If your supplier can’t provide any certification and claims that he complies with everything you ask for thats a huge red flag. I also understand that you don’t want to invest in any certification not knowing if it will sell. And this is the most important part where you as a entrepreneur and business person need to come to a decision. A) Is my product potentially dangerous (can it explode??). B) Is my product relatively simple and can’t harm anyone (e.g. leather wallet)? Once you’ve figured out what you need for your product you need to evaluate what should be invested. Lets take an example. For the sake of it lets look at a simple and a complicated product. Solar powered garden light for 1.2$. Comes with nothing but a few cables, some plastic and a solar cell. Simple right? Technically I have to meet the following: LVD (EMC), ROHS, REACH & CE in general for Europe. Now if I were to test all of these the costs would amount to roughly 2000USD with a very cheap Chinese laboratory. If it was TUV or SGS the costs would be triple that. Now what if I am going to order 1,000 pieces and my testing costs would already cost more? That doesn’t make sense. In this case I suggest to get self declaration of the above regulations and save yourself these costs. Obviously you’d still want your supplier to declare that he can fulfil those requirements so look for suppliers who already deal with customers in the country you want to import to and have a good reputation or can back up their claim that the item is compliant with raw material certificates for example (from the raw material supplier). Small Electric fan heater 5.9$. Comes also with a few cables, some plastic, a plug and a PCB. Simple right? No. You see, I need to plug this product into the socket (230Volts plus) and the potential dangers are very high. If the unit tips over or a child puts a cover on top, the entire unit can burn up (and the house with it). Also here technically I have to meet the following: LVD (EMC), ROHS, REACH & CE in general for Europe. Ideally I will also want a GS mark for Germany because this is a product consumers want to have with GS. On top of that I want abnormal testing from TUV for example. Abnormal testing means they would test what happens if you cover the unit with a blanket or if it tips over that the unit switches off automatically. A good supplier knows that there needs to be a tip over switch installed and overheating fuse included. This abnormal test alone costs 4-5,000USD. A GS mark costs somewhere in the same vicinity (2-4000US$). The other tests (LVD, RoHS, REACH & CE) are roughly 2,000USD. Now we are looking at 10-12,000USD investment costs. Would I do all these testings before purchasing? Yes, 1000%. I do not want to risk my business or anyone else’s life because I wanted cheap. You may say ok but I don’t have that kind of money. Then you need to find a supplier who either has these certificates already or is willing to invest the money for you. If you can’t find one then its simple – the product is not for you and your budget. You can still go for it without all the testing and certifications but I think we are on the same page here that that would be a very foolish decision in case anything happens. Now I can’t go into hundreds of products or case studies here, that just isn’t possible. But I think you see my point. First I need to evaluate if the trouble is worth it and if I even want to deal with complicated products. 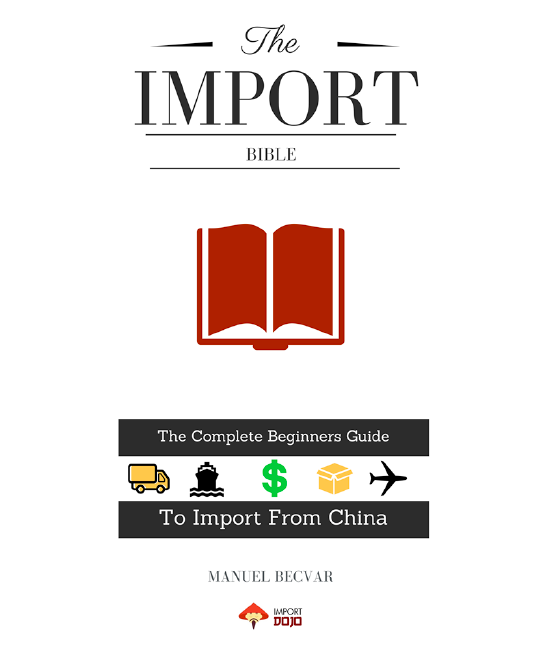 Some items really don’t make sense to import (together with the antidumping rate items). These items are usually license-required items, large items or items that are manufactured in a low-income country near you. China is getting some competition from a few countries, not only because of labor costs but also due to government import restrictions (antidumping fees for example). For the above items you would need to obtain proper licenses first and this can be quite difficult. So the above might not be your first choice of import. Let’s look at your options and what it actually means to have NDA’s or Exclusivity Agreements in China and how likely it is to enforce it or hold up in a court. The point I want to get across to you is not to worry too much about getting copied in China if you approach things professionally. Once you have settled on a supplier for your new product it is time to purchase a sample. Most suppliers will charge you for sending a sample. There is usually no way around this unless you have worked with the supplier for a longer time. Even for me, being here and dealing with suppliers on a daily basis I can’t guarantee that I don’t have to pay for a sample. Here are some Insider tips to “try” to get a sample for free. Introduce yourself as an assistant of a large company. Suppliers tend to smell money when a large company is interested and are more likely to give away samples for free. State that you have especially chosen this supplier to be your exclusive supplier for this product and he has the chance now to do business with you. Ask him to put the sample cost on top of the official order that may follow if the sample is what you are looking for. State that it is company policy that you/your company don’t pay for samples and if he wishes to do business he should agree to your sample terms. Split the costs. Offer to pay for either the samples or the freight costs. If none of these work I recommend you to agree with the supplier to deduct the sample costs from the official (larger) order. At least this way you save the sample costs if you decide to order from this particular supplier. On one occasion I was sourcing for a textile accessory. The item itself can be made for approx 2 USD. I screened around 10 suppliers and eventually narrowed my selection down to 5 suppliers. They were all in a similar price range. When it came down to ordering samples one of the suppliers (who was also the most expensive) asked me for a sample fee of 100 USD to be transferred to his bank account. That didn’t make sense. I immediately knew it must be a trading company with no factory background. They probably outsource the work to a factory because they have no own facilities. Eliminate suppliers that have high sample costs right in the beginning. Samples are usually 10-50% more expensive than the originally quoted price. It is a common practice to charge more for samples, as many of the samples need to be handmade for the customer, especially if you have some sort of modification request. Another reason why samples are usually more expensive than the quoted price is that they want to see if you are serious & sincere about placing a larger order later. I can tell you that from my own experience as a manufacturer. I get about 5 sample requests per week and all of them want it for free. If a buyer is not willing to pay for a sample I won’t send it to him because I will be thinking he just wants to get a sample and there will be no follow up order. Sometimes suppliers have stock of their items. If you do not need to have any modifications done, or you just want to check the quality before asking for more, request a sample they have in stock. If they have stock, they usually charge the regular (MOQ) price. In my 12 years living and working in China I have learned to communicate with Chinese suppliers in different ways compared to communicating with Western companies. What is being said or promised on the phone/chat or email is not always being followed by the factory or the supplier. Often you will find that something you said or agreed on is being done completely different. For example you ordered a sample of a certain product in a certain color & quantity but what you receive is completely different from what you asked/paid for. Unfortunately the chain of command in factories is not always direct. So when your sales contact gives your sample order to his sample or engineering team there may be 2 or 3 people in between. In between often some information gets lost. So eventually the person responsible for making your sample will receive different instructions that deviate from your original briefing. Often there will be no meetings held on projects from clients (like we are used to in the western world), but rather a quick email to another person that has not fully understood what you actually want or need. Often there will be no message or notification that your project may be urgent or requires special attention. That might be a simple instruction, for example telling the sample team to make the sample with a US plug or adapter. No one has told the sample team and common sense is unfortunately not requested when being a worker in the factory. I can’t stress enough how important it is to supervise & monitor your order/samples or other projects that you have with your supplier. Westerners work differently. We are more detailed and we expect people to have the same common sense that most of us have. Information will get lost. You need to plan for it. After each discussion on the phone/chat or email you should follow up with written and agreed on-points. Try to think of everything for the supplier and make it as easy as possible for him to follow up & complete your instructions. Give him a “goodie” at the end of the email to advise him of the potential to be working with you. – Please make sure the sample is tested on your side before being sent out. – Make sure you mention “samples of no commercial value” to the Sample Invoice (in order to avoid customs tax on samples at your destination). Please give me a written confirmation of all discussed points and your understanding. If the sample works out well and everything is as it is agreed on, expect an order of… pcs. Give deadlines to suppliers that you both agreed on. Set yourself reminders on your smart phone/computer that will help you to remind your supplier. Make simple sketches & drawings of your requests if the supplier misunderstands you. Once you have a feeling on what you need to pay attention to it gets a lot easier and your sample orders in China will be a lot smoother. I’ve been saying this forever and I still see people shipping their products from China without inspecting their products by professionals but my recommendation is never ever ship without inspecting your goods. Especially not if you ship directly to Amazon. If there’s a problem it’s too late to re-work the goods (in most cases) or ship back to China. There are several third-party inspection companies in Asia. Some of the big names are: Buereau Veritas, TUV-SUD, TUV-RHEINLAND, and AsiaInspection (which I personally use) to name a few. The first three are usually expensive but also very thorough. AsiaInspection is a simple and cost efficient service that should work in the beginning for you. Register on their website and simply create an order with them. You can fill out all the details or even better ask your supplier to send them a sample. Simple steps: You ask your supplier for a date when you can send an inspector (usually around 70-80% of the finished production), you book the inspection online and the Inspector will go to the factory on the arranged date. Only when you are entirely satisfied should you release the shipment. In most cases there will be minor findings, such as scratches, dents, or packaging issues. If this doesn’t bother you then release. If there are major problems like faulty wires or wrong colours, ask your supplier to re-work the goods. Trust me, he will re-work, as he is still waiting to get the full payment. Remember, NEVER pay everything up front. 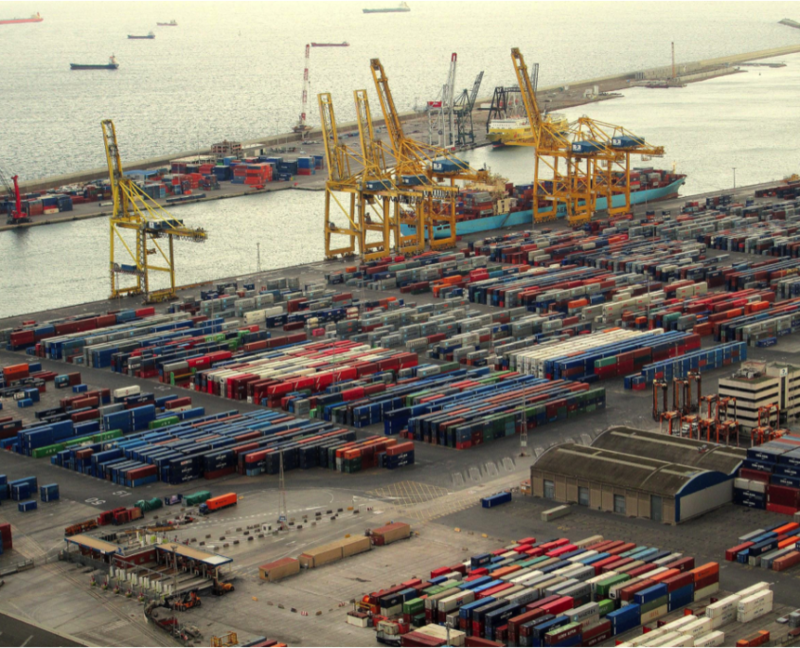 Once everything is as it should be you can give your logistics provider the order to pick up the goods and send them to the port. You are of course entitled to skip this process, but it is highly recommended, especially for first-timers and for order amounts above 1,000USD. How to develop your own products – This is the 7th post in our Brand Building Series and today it’s my turn to talk about this next blog post. In this post I’ll talk about private label versus your own design and why being unique (in the long run) is better. I will also talk about Industry Research & Demographics (Who will be your customer?) because I feel this goes hand in hand with the decision on choosing a product. Before we discuss private label versus your own design I will dig into Research & Demographics first – who will be your customer? Is there enough demand? Your customers or target market can also determine whether you go for private label or your own design. Let’s imagine that you aren’t sure yet which product you want to sell in but you have a certain industry in mind. I always say follow your passion or something that you can relate to. After all it doesn’t make sense to start selling Bluetooth speakers when you know nothing about them let alone explain features or answer technical questions of your customers. So ideally you start with something that you can at least relate to or feel that you can improve on. 1) I go onto Google and start my search. 2) I check the first few links and I find a site that has a compilation of the top 10 products – makes it very easy for me. 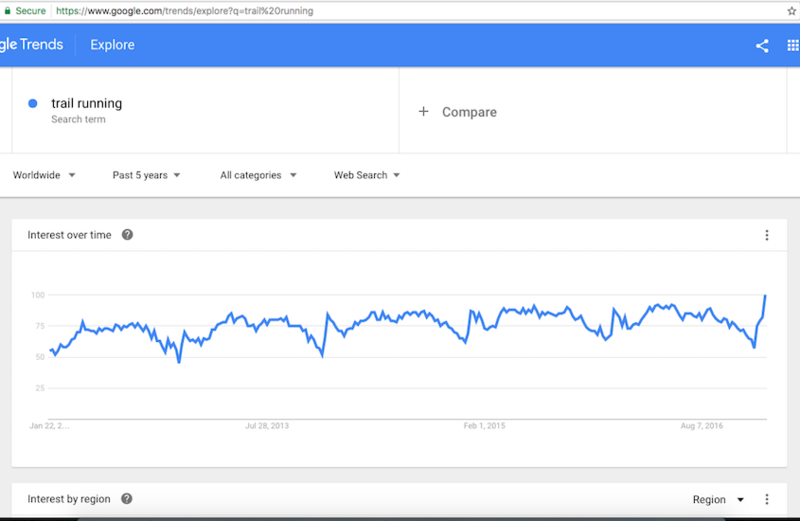 3) Next thing I do is go onto Google.trends.com and enter “trail running”. 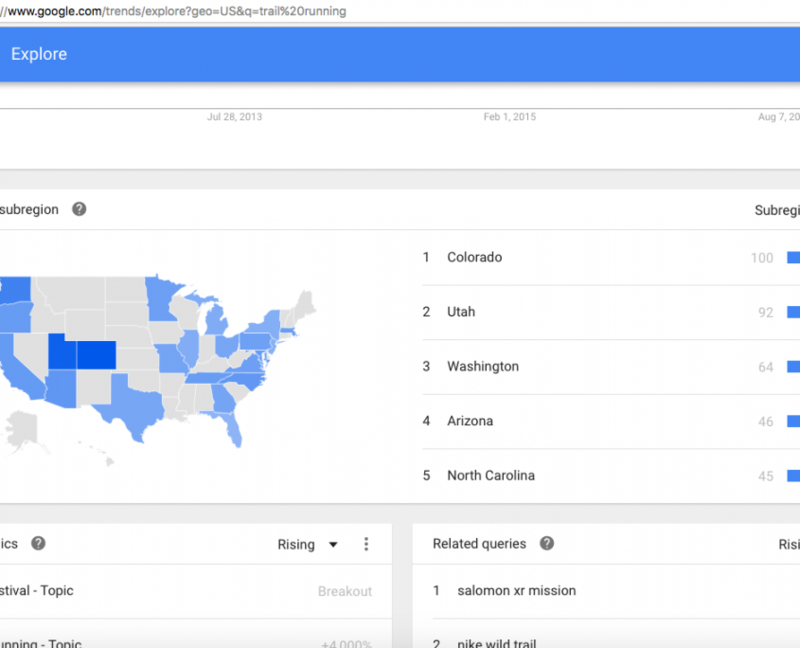 Colorado, Utah, Washington, Arizona, North Carolina are the top 5. 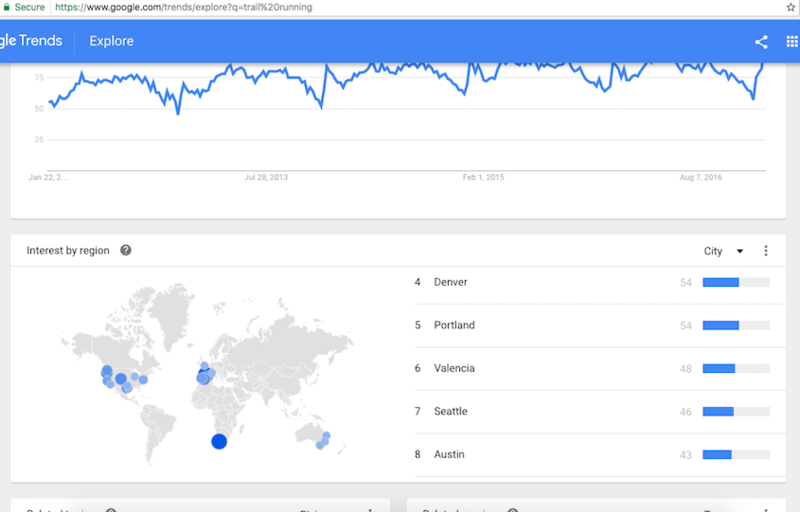 If I look into cities as you can see there is a very high demand in Denver, Portland, Seattle, Austin & San Francisco (& a few more). I know from living here in HK there is very high demand as well. Now if Amazon would have a store here that would be probably my first item to put up on as a listing. As an alternative I could also set up an eCommerce shop here in Hong Kong (there’s my next business idea). However I am going to focus on selling a product in the US now either on Amazon or my own eCommerce shop. Next thing to do would be to research the particular top 10 products and then focus on either the highest demand or the product I can affiliate myself with the most. After I pick a product I go onto Google keywords planner. 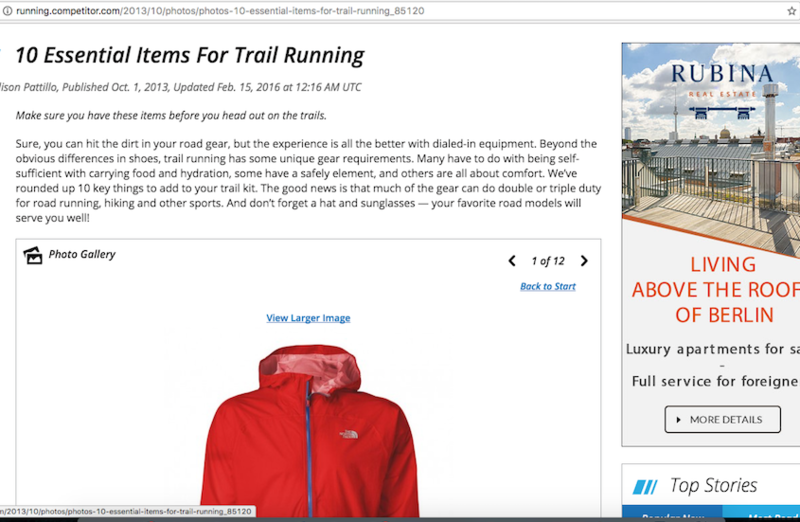 I pick “trail running jacket” and as you can see there’s a very high demand (100,000 – 1Million monthly searches on Google). What do I do now with all those numbers? Nothing for now since I still am far away from launching a product, but the point of this exercise is that I become aware of the trends, the search and interest volume of my potential clients and how I can take that to my advantage. E.g. I can set up my own shop or sell on Amazon and drive traffic via targeted Facebook ads (or Google) to my listing. And I can specify that by country, state, city and interest. I am not going into detail now (thats for later) but just a quick look at a Facebook campaign with these keywords and targets generates a audience of 790,000 people. Something for later when my product is live (or during the launch). Now obviously this is just a brief and short trip into researching demographics and interests. But as you can see from above, there’s literally a million potential clients for me. Obviously I would now have to do my product research, find suppliers etc but this will be a post for next week. What you can do from here on is to look up the competition on Amazon and how you can improve a product or even get unique ideas. See also our blow post from 2 weeks ago here. Lets assume that you have your product and industry well researched. What do you pick now? Private Label or having your own design? 2-3 years ago Amazon FBA private labelling became the No.1 way to start your new business with a small capital. Simple – find a lightweight product, fits in a shoe box and costs less than 2$. So many people jumped onto that train that today we have immense competition on Amazon. While there are still categories and products out there that have small competition, its getting more and more difficult for everyone. I am sorry to tell you but those days where you start off with 1000$ or less are over. I still see success stories with private labelling however starting capital should be at least 3-5,000USD. You are going to want to order a quantity (say 500-1000 pieces) that last you 1-3 months when you launch, especially if your product goes well. You will need capital for marketing (PPC, Facebook ads etc., influencer campaigns), logistic costs from China, inspection costs, photography and business set up costs. If you are looking at higher priced items from China – because they have less competition, 5000US$ are easily spent on product costs only. How does private label work? By now I think most of you how it works but basically you are buying a product off the shelve from a manufacturer, maybe improve it (see last blog post), put your own logo on the product or packaging and send it to Amazon. Obviously there are many steps in between but thats pretty much it in a nutshell. So while private labelling in its different forms is still a viable option and will make you money you will have to have a good product that stands out plus extra capital for marketing and advertising since the TOS change from October 2016 in regards to giving away products and review services has more or less collapsed as a sure way to gain traction in your first few weeks. The most obvious downside on a private label item is that anyone can come in and hijack or have the same product up after a few weeks. Even if you are brand registered, a competitor can come in and modify the product with his factory, maybe even improve it and sell under his own listing. Within a matter of weeks you can have 4-5 competitors and the price gets driven to the ground. Think of the melon slicer that everyone tried to sell and within 2 months there were 30+ sellers of this product. Imagine you would have been the person designing this item, how long you’d been the only one making huge profits. All the other guys that came in after you had to fight for the price and customers. Basically a race to the bottom. What are the advantages on private labelling? Don’t get me wrong, to start out and if you are concerned about capital and big investments private labelling is a great way to get started. You’ll learn the ropes, get your first experience in China and on Amazon and you’ll be set up with your business. Even I started with a private label but quickly moved on to create unique products. What’s your own design and what are the risks involved? What sort of capital do you need to invest? OK, so first off you might say – even my unique products can be copied at some point. Yes, thats true but you’ll have a head-start of at least 6-8 months and by the time the competition comes in you’ll have a lot of reviews (that he doesn’t have) and you’ve already made good money and ideally even work on your next product. Thats the business cycle anyway, you create a product, someone comes and copies you. Deal with it and move on. Next question may even be how to avoid that anyone copies you – patents and trademarks. First you’ll definitely want to register your brand on Amazon so that anyone trying to hijack your listing has to ask you for approval – guess you won’t approve 🙂 Second you may even want to patent your design in the US (or wherever you are selling) So anyone trying to copy you has a very low chance of succeeding. You can easily report them to Amazon infringing your patents or design. Whats the downside with your on design? There are three things that come to mind. Risk of product not selling well (but you’ll have that risk with private label items as well) as it is new to the market and “no one knows it exists yet”. Whats the upsides of your own design? You can interest retailers and other businesses with a unique design. It’s very unlikely that Walmart is interested in buying a private label garlic press. You have a USP (Unique Selling Point) that your competitors (private labellers) don’t have. 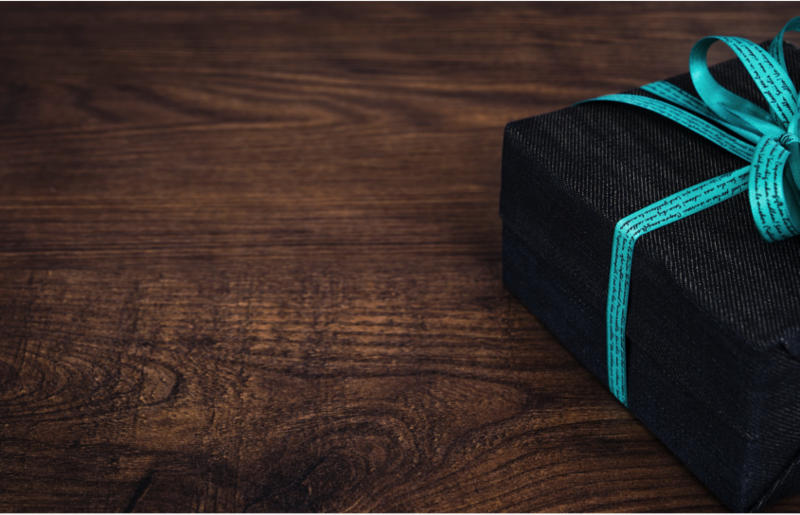 If you keep coming out with unique products your customers will return. Just think of Nike or Adidas how they constantly re-invent themselves with new designs, material etc. If you are a one hit wonder there’s not really a momentum that you can build (e.g. improving the garlic press for the 50th time). Researching your demographics and possible target audience helps making a decision. How to develop your own products – In the previous weeks, we went over Business Banking & Incorporation – where we explored different strategies on how to legally and financially enhance your business. As a way to start 2017, today’s blog post will be focusing on Product Innovation. The ultimate goal for any business is to be sustainable in the long term. To achieve this, you need to have a Unique Selling Point(USP) that differentiates your business from the competition. This mini guide and case study is meant to get you to think outside the box in terms of product selection and launch cool & innovative products. General items with unique logo and packaging. Price is the most obvious one, so more often than not, it becomes a race to the bottom. This is not what we want as a brand. By creating something that the market wants & improving upon it, you will have control over your brand. 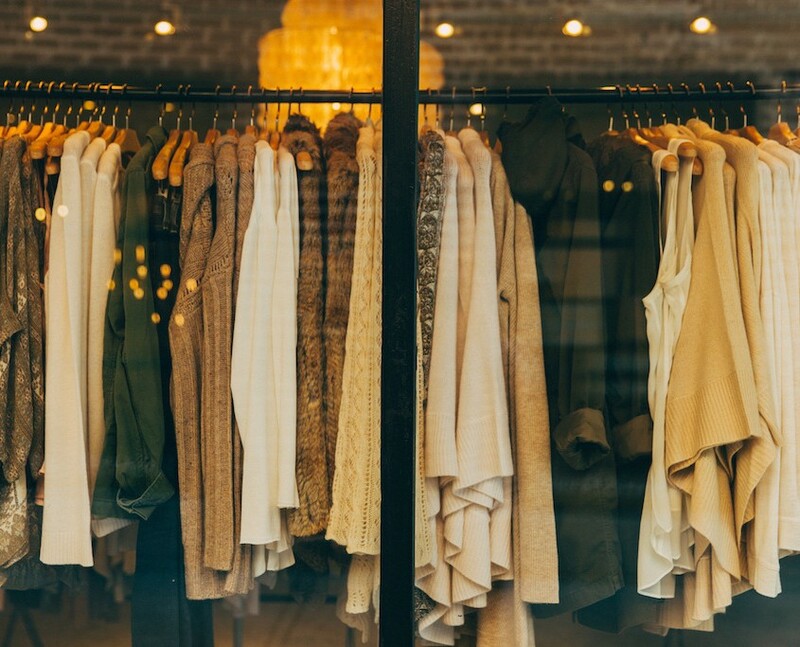 This is also an asset if you plan on selling to retailers in the future – Retailers love unique, branded and in demand products! Today’s case study involves picking an existing product and completely breaking down each aspect of it and try to improve it. Note: This is only an example and the strategy should be applied for your product of choice. 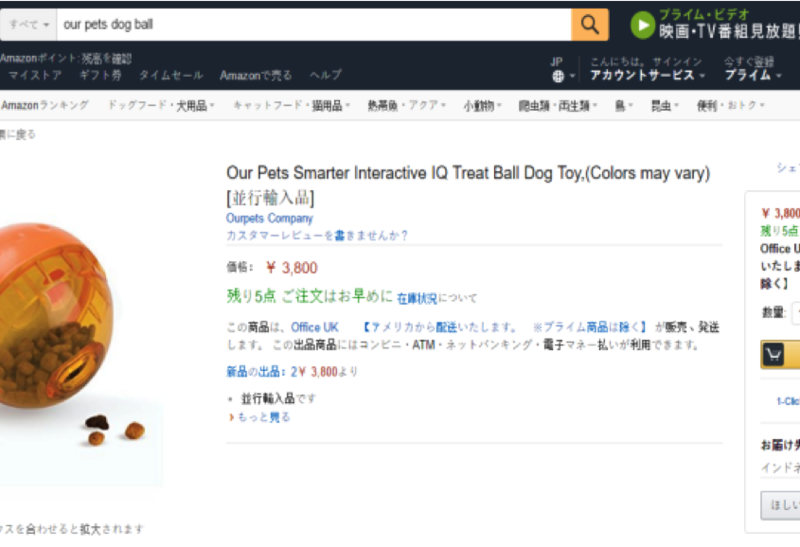 For this case study I picked an Interactive Dog Toy Ball. Let’s have a quick overview of the product. All that needs to be done is analysing the product carefully and see if we can improve it. So let’s go ahead with our product analysis. Poor Images & Very Bland – A product with this popularity/demand should have higher quality pictures. Bullet Points – The bullet points are too short and don’t describe the product features in detail. Listing Title – This, in my opinion, is the most lacking part. The title is not Keyword Optimized and they have the words “Colors May Vary”. As a customer viewing the listing, the question I ask is: What colors are available for this product? Which color will I receive?? The seller has Enhanced Brand Content/A+ Content, however, they are not taking full advantage of it. The description is short and the pictures show only the packaging instead of highlighting the product’s features. Furthermore, they included a picture of another of their products! The description should be a keyword rich, informative section where you provide features and details to the customer. The most notable aspect is that 24% of 4,430 reviews(1063 reviews) are 3 stars or lower. This already shows me that the product can be improved upon, but let’s look at the positive reviews first. Fun Toy and most dogs love it. 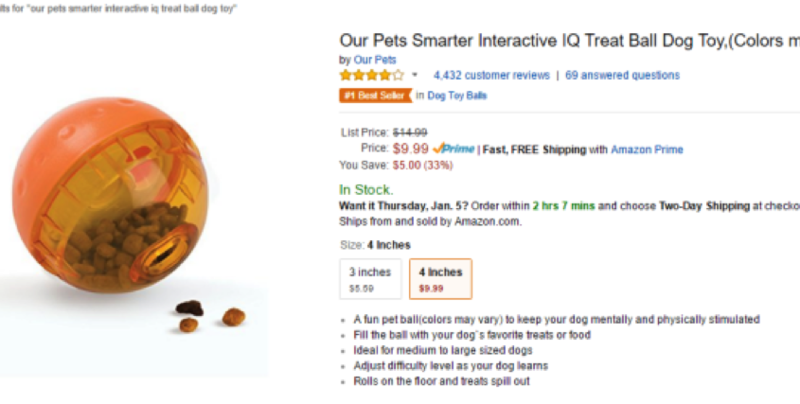 Adjustable difficulty of the item makes it accessible to any dog. A lot of the reviews suggest customers bought 1 or more. This is a very good sign. 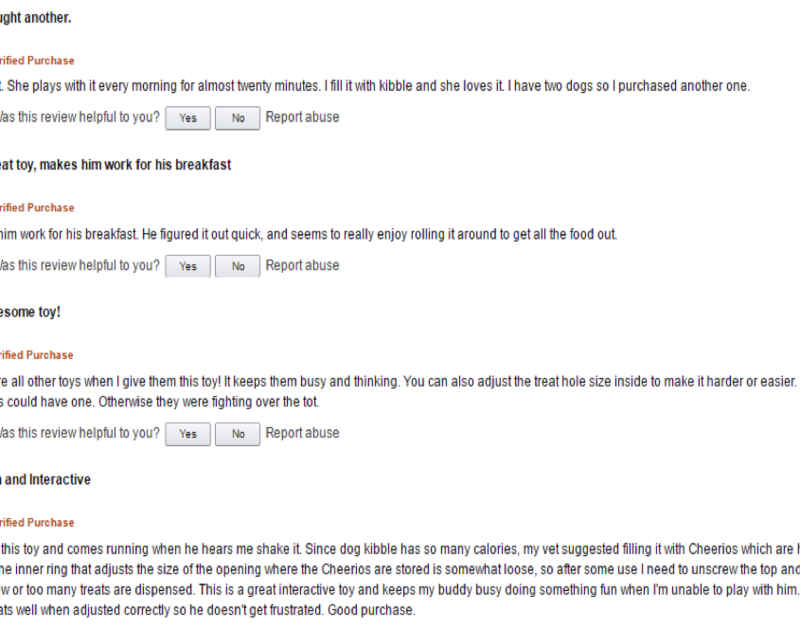 The product makes their dog exercise more. Positive reviews are an important aspect, as they tell you what customers LOVE about the product. If you are innovating or improving an existing product, you have to know what customers like about your competitors. 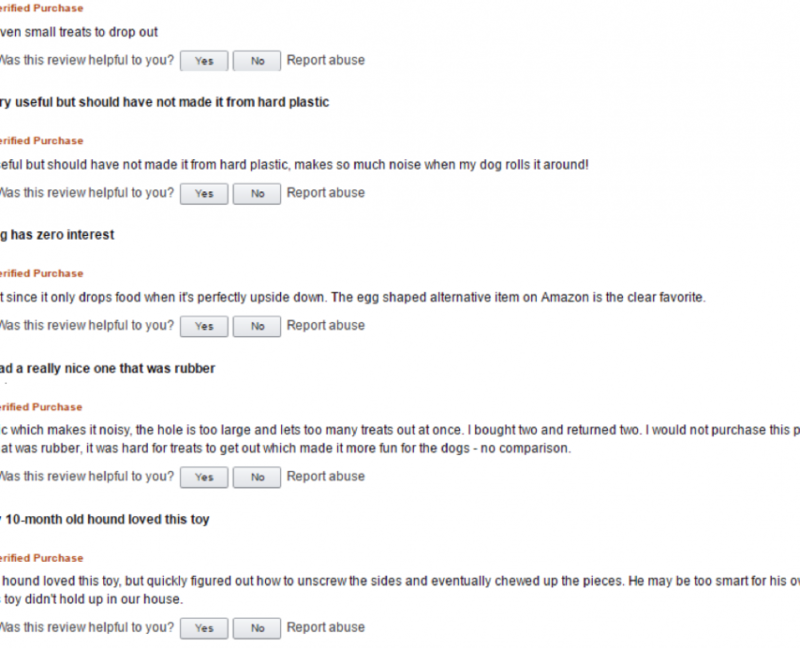 Cheap material – most dogs break it easily. Dangerous – Some dogs have risked choking because it comes apart easily. 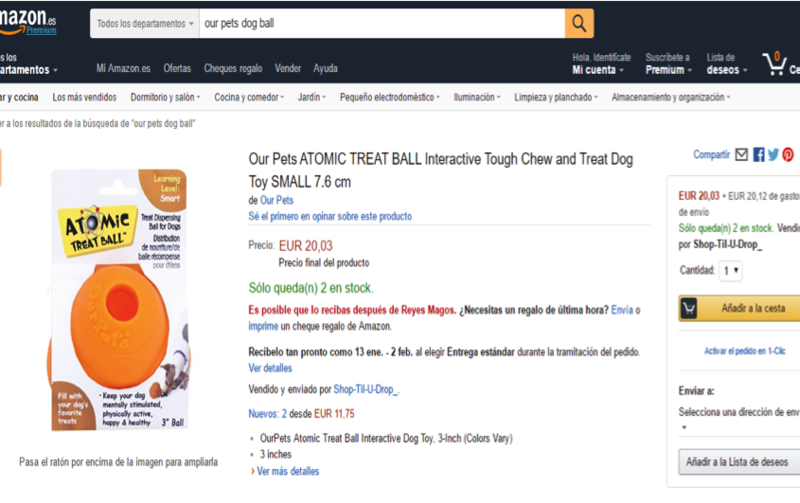 Boring – some dogs found the toy to be boring, this suggests that the toy is only ideal for particular breeds. 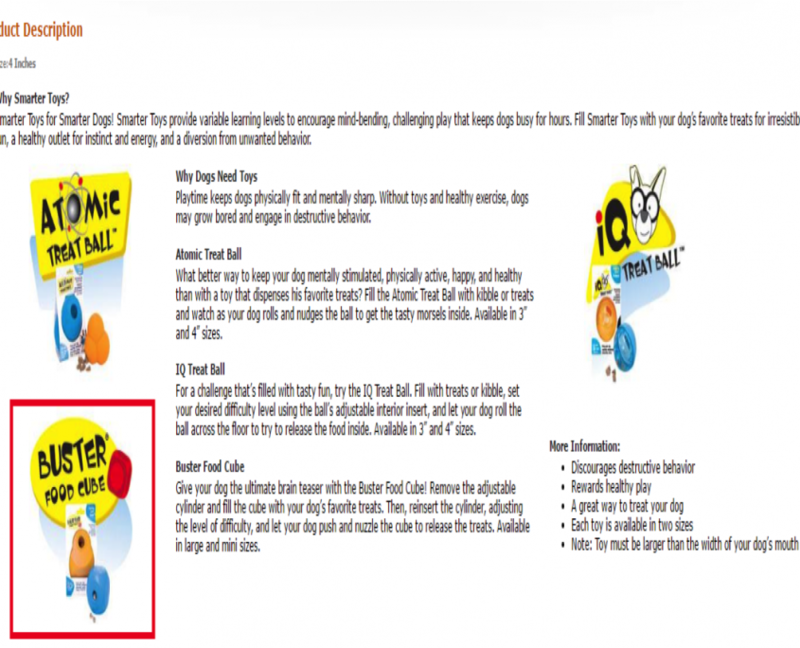 Functionality – Some customers found that the treats don’t come out properly. When looking at negative reviews, focus on a common theme – if many customers complain about a particular feature, this can be improved! When launching a product, it’s easy to only focus on that particular product. However, the goal is to see if there’s demand in the category. 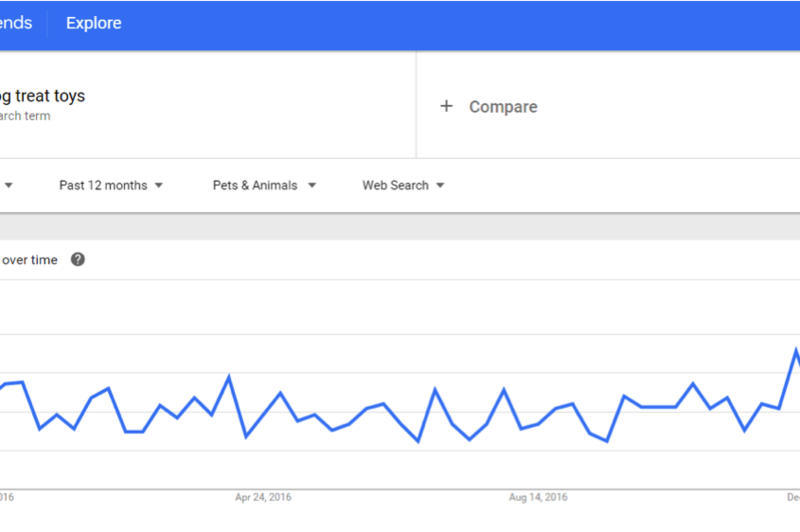 I made a Google Trends search for the keywords “Dog Treat Toys” and “Dog Toy Balls” to see if there’s any demand throughout the year for this product. As seen above, the demand for the product is fairly steady all year round with some months experiencing high demand. This is good news as it shows that this product is not seasonal and their is interest in this niche. No demand for the product outside the US – Highly unlikely considering the category(Pet Supplies). The seller main focus is only the US, so releasing a better product in the other marketplaces would give you an advantage. Quality is an issue – We can make a better product. Material is low-quality hard plastic and therefore we can improve the material quality or use a different material. Certifications – No certifications are mentioned in the listing, by obtaining certifications we can make the product better. Photos – Higher quality photos. Listing – Better product descriptions & bullet points. Variations – Include colors in the listing & offer 2-3 colors. Packaging – With some effort we can make a better packaging. The product is extremely popular and therefore hard to get the #1 spot. Large amount of reviews – However, 24% are 3 star or lower, so a better product can outperform it. Warning: If going this route, it is extremely important to check if any products you take inspiration from don’t have a patent associated with them. The idea is to have a brand with unique products – So be unique! Hiring a product designer to design a completely new product based on the feedback you give them. Sourcing a factory that produces similar products and see if they can make the requested changes. I recommend hiring a product designer as they can completely experiment with different designs and you would get a unique product for your brand. When you’re happy with the result, you pass on the design to the chosen factory and a mold + sample is made. Build a brand around a category/niche you’re passionate about. If you have a strong passion/interest towards a particular niche, you know what the market wants. If you already have a product in a category, focus on building a list & interact with potential customers via social media. Once you build trust with your customer base, they will often tell you what products they love/want. Release products which are both unique and better than the competition. Cover many sub-niches in one category. 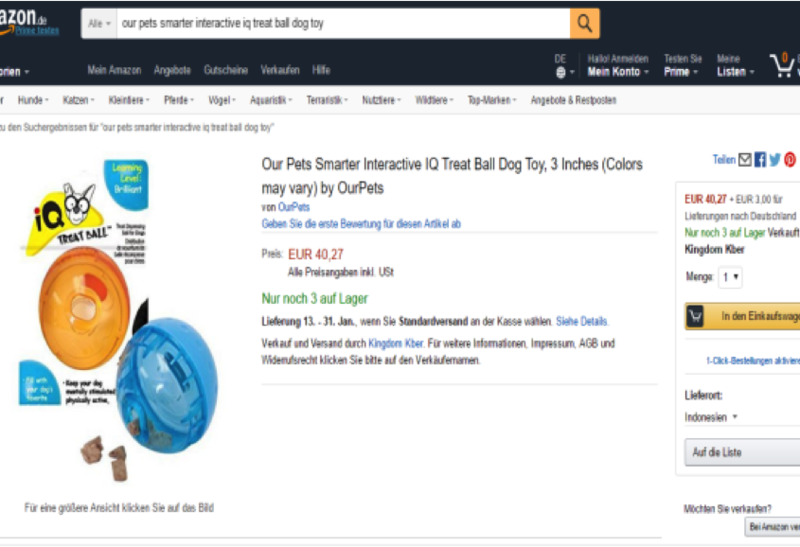 As you can see with our product from the case study, Amazon is already showing you an item that is frequently bought by customers. Same as above, Amazon gives you all the data you need to make your research easier for your next products. 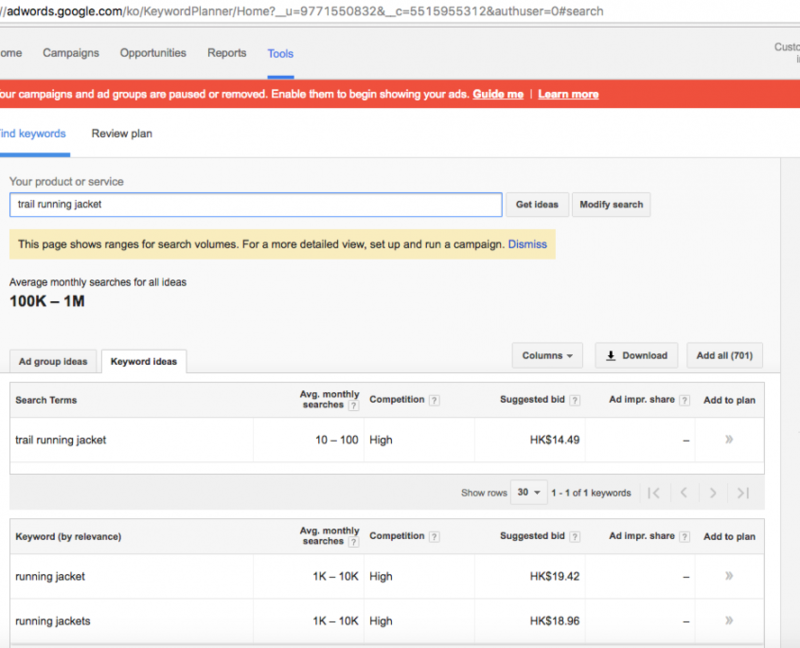 This is very important as it shows PPC activity surrounding a category. If other sellers are spending money promoting their products, then, there is interest in the market. As you can see below, Amazon is showing a lot of products. Magazines(both online and offline) are a good source of inspiration. These publications only cater to an audience actively interested in the category so they can greatly help you. Understanding the market and your potential customers will help you gain authority within your niche. 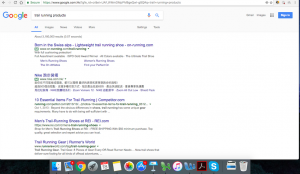 Advertising – Forums have advertising sections, see what type of brands and products are advertised and do your research on that. 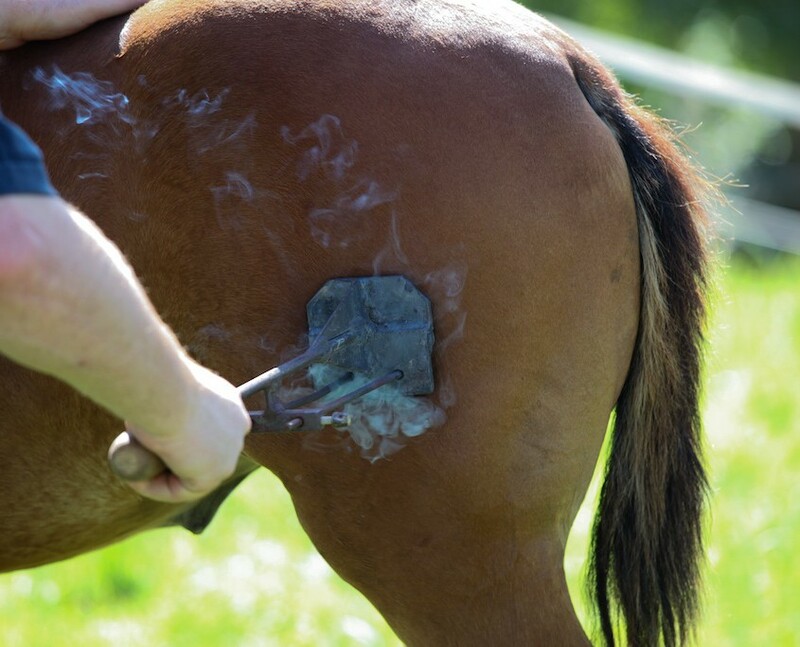 This is by far the best way to source new products. Trade shows are a great way to see trending & upcoming products and find potential suppliers. Manuel will talk about this in more detail as he has a lot of experience in this field. Reminder: Always do your research before investing time and money into a product – Your customers and business will thank you later! I hope this mini case study was helpful and hopefully it can serve as an inspiration for new products in 2017. Moving forward, the next blog posts will be written both by Manuel & myself and will focus on Sourcing, Manufacturing & Certifications. These topics have been widely covered by Manuel, however, we have some great information on how to apply them to build a brand. We hope you had a great holiday season and both myself & Manuel wish you a Happy New Year! If you have any questions regarding this blog post, kindly leave a comment below. 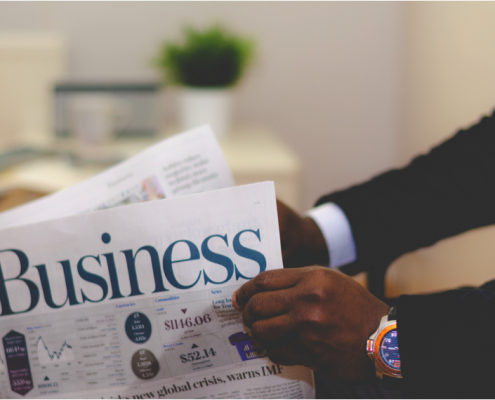 How to set up business banking – Having a good business structure is only one part of running the business – A good company needs to have the best tools to be financially viable. In this blog posts we will talk about business banking, transfers and international exchange rates. As your business grows, you can’t afford to lose money in fees, for this reason, it’s important to choose the best banking tools you can find. 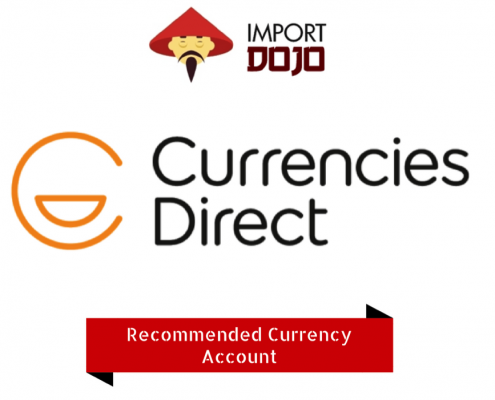 We recommend having accounts in all 3 major world currencies – US Dollar($), Euro(€) and Pound Sterling(£). 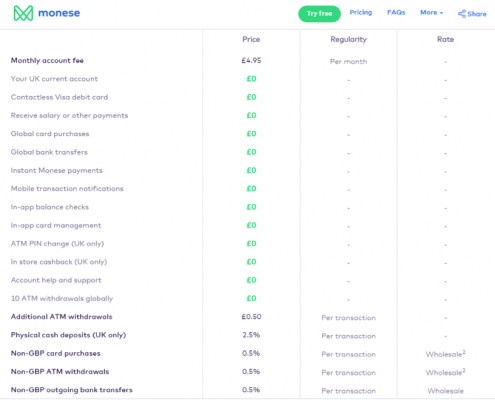 You may ask why would you need so many accounts if you’re only operating in one country or currency? As we have experienced in the past, countries have market crashes or recessions which greatly devalue the local currency. This can sometimes be so severe to eliminate your profits or worse put you out of business. Having an second account in another currency will enable you to switch/move your assets and reduce the risks. At some point in your business, you will want to expand into other markets besides the US. Having an account in the local currency combined with a low exchange rate account; will save you fees on money transfers. 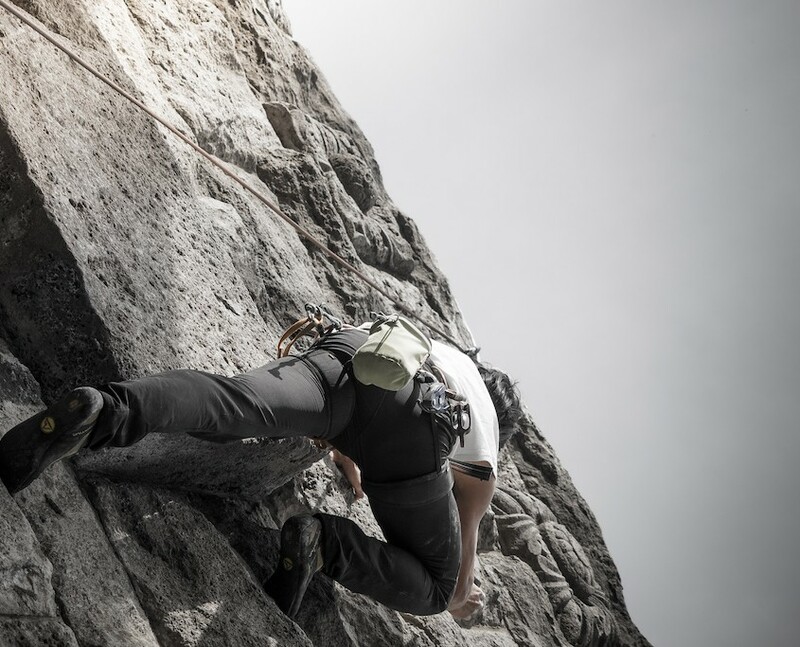 In every business there is risks involved, however, what separates successful businesses from unsuccessful ones is that they prepare their business for every situation. Here are some of the best business accounts in the world you can use – there are no affiliate links and all the companies/banks mentioned are listed because they truly provide the best value and they are tools we use. Free ATM withdrawals from HSBC ATMs worldwide. 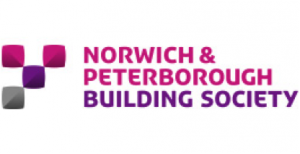 Insurance packages – Travel Insurance, product liability insurance, house insurance etc. Free Transfers to any HSBC account worldwide – If your supplier has an HSBC account, this will save you a lot of fees! No ATM fees worldwide – However, they don’t refund ATM charges that local banks charge abroad. No currency exchange mark-up – You get charged Visa’s official rate. This is probably the best bank account in the US to have if you travel overseas a lot. 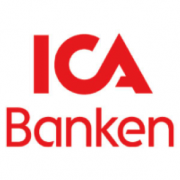 Almost every service the bank offers is FREE – One amazing feature that is very rare in banks: they refund you worldwide ATM fees you get charged by the overseas banks. Their only downside is their online banking system, which is a bit lacking. However, having this account as part of your banking is definitely an asset. You need to be a US resident or have a US address(if you’re not a US resident you can use a mail forwarding service). You can open an account online and they have a few branches across the country. If you’re not a US resident, we suggest to visit a branch to open the account. 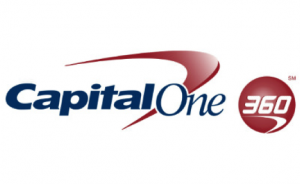 The Capital One 360 offers the same benefits as the Charles Schwab Account, however, they don’t refund worldwide ATM fees. If you travel frequently outside the US, then this might be a deal breaker. No ATM fees worldwide – However, they don’t refund ATM fees the local banks charge(if using an ATM outside the EU). Downside – Their English customer support is very limited. However, it’s a pretty good option for German residents. Monthly fee 25 SEK(~2.50€) – Waived for students and persons younger than 21 years old. 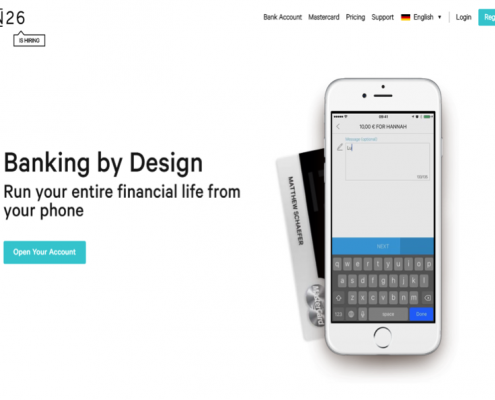 N26(Formerly Number 26) is by far the best online bank in Europe! Based in Germany it is now available in all EU & SEPA countries except Malta & Cyprus. 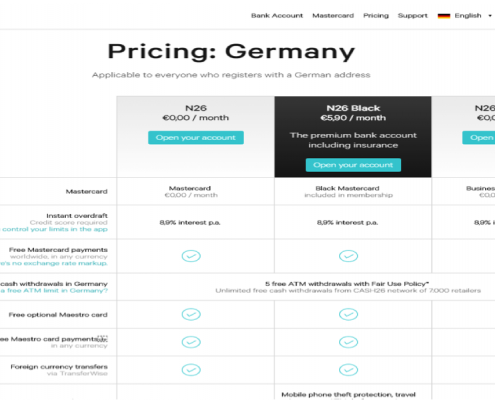 The bank offers three plans – N26, N26 Black & N26 Business. N26 is now a certified bank and they offer deposit protection up to €100,000 according to EU regulations. No currency exchange markup – You only get charged Mastercard’s official rate. A mailing address in Germany – You can use a German virtual address for this. 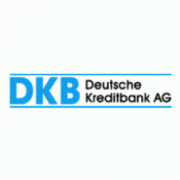 This is by far the best online-only bank if you’re from the EU & travel a lot! Simple is also a full member of the FDIC, so deposits are secure. Furthermore, the bank has been getting a lot of investor funding, so expect more features in the future. Risk Management – if you transfer huge sums of money, you want the best rate in real-time. This service will contact you when the exchange rate is ideal so you don’t loose money on extra fees. Supplier & Manufacturer Payment – This is what separates Currencies Direct from the rest. They cater to a specific need us importers want(ie paying suppliers)! I can’t stress enough how important having a good currency exchange account is. While Paypal is great to start with, their fees will eat your profits as you grow larger and payments become bigger. This will also be true when you start to outsource different tasks of your business. 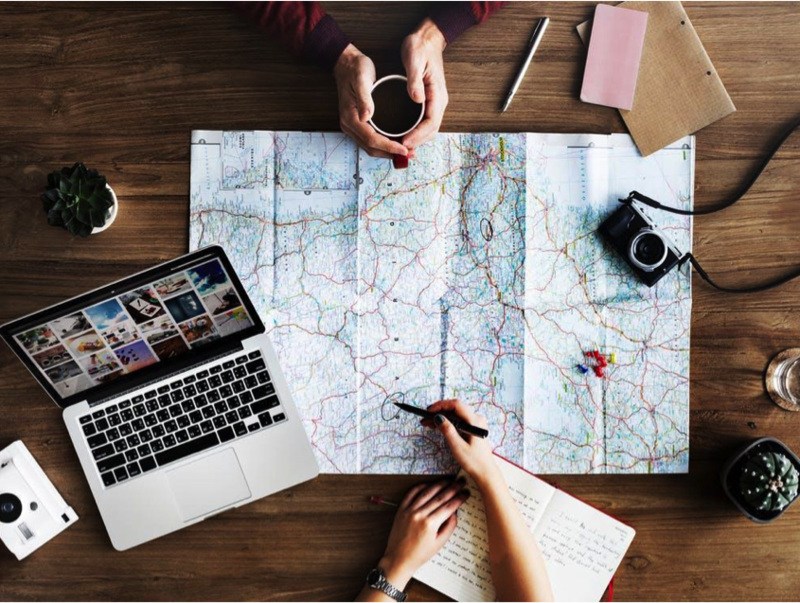 It is likely that your employees/contractors/freelancers will be from different countries, having a currency account will allow you to streamline payments more effectively. This three-part series was meant to give an overview for the legal and financial aspect of this business. Although it can be quite overwhelming, having a proper legal business will greatly benefit you in the long term. Our goal with the series is to create Sell-able Brands, and a business that has a good legal structure and management, is more attractive to potential investors. In the next part of the series, we will move over to Product Selection, but with a twist, many sellers are realizing that to succeed in Amazon & in other E-commerce platforms – products need to be unique and innovative. In the next few weeks, we will explore how you can improve existing top seller products and releasing products that customers’ in your category want. Myself and Manuel will give you a complete guide on Product Design, Certifications, Patents & Manufacturing. This topic is very requested, so if you have any questions or if you want us to talk into more detail, kindly leave a comment below.